Agha Ali - meherbabatravels jimdo page! Sayed Ali Haji Muhammad "Agha Ali"
Meher Baba settled permanently at Arangaon, near Ahmednagar, on January 25th, 1925. 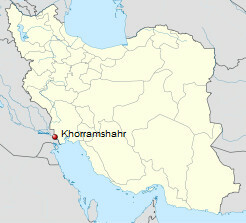 This land was named Meherabad, meaning "Meher flourishing". Under Baba's guidance a hospital, a school, a dispensary and an enclave for lepers and the destitute was established. These services were offered freely to the community and were staffed by this mandali. 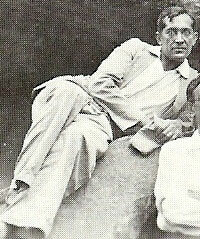 By October 21, 1926, Baba decided to close all of the institutions and dispose all the goods within. 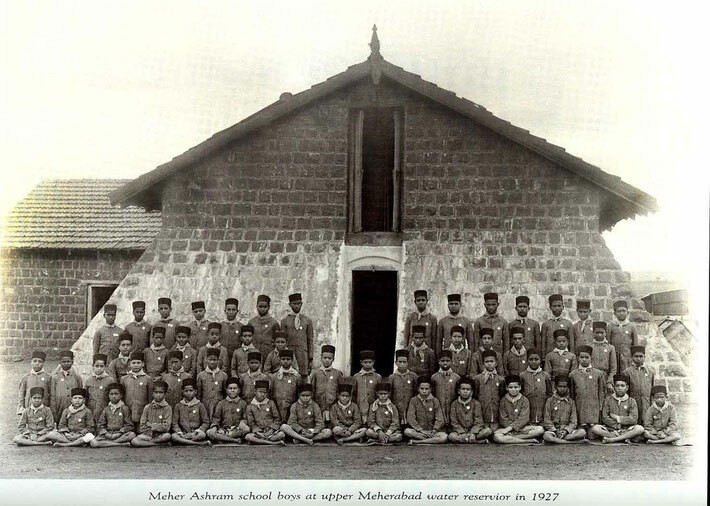 When all of this was achieved, Baba moved to Lonavla then to Bombay with his mandali in late November till late December 1926, when he announced he was to reopen a school at Meherabad. 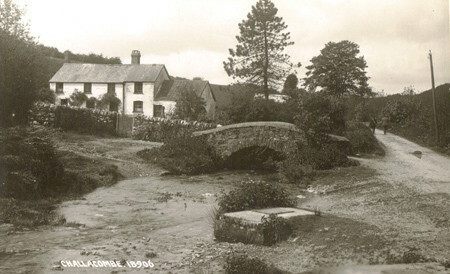 This school for the village children was reopened on December 31st, 1926. 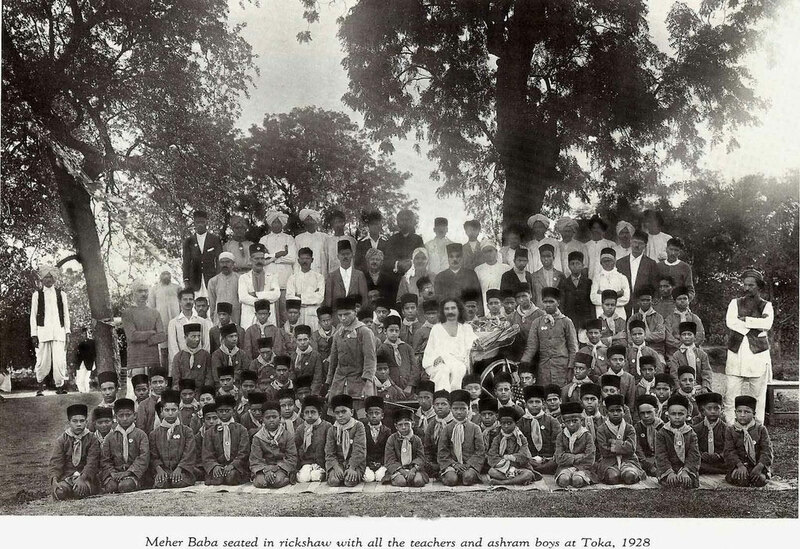 In early 1927, Baba proposed the opening of an ashram for selected children to be called Meher Ashram, which was also a boarding school, with full term schooling proposed for all the residents.The attached school was named the Hazrat Babajan High School. Assurances from his mandali were attained to see this through for at least 3 years, publicity through leaflets were drafted and distributed to both near and far. On May 1, 1927, the ashram was declared open. 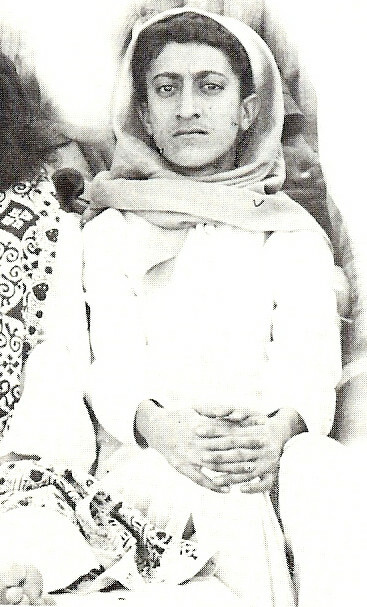 On the 21st November of that year, Agha Ali was brought to Meherabad by his father to be admitted. The saga of the father and of his son Ali begins. 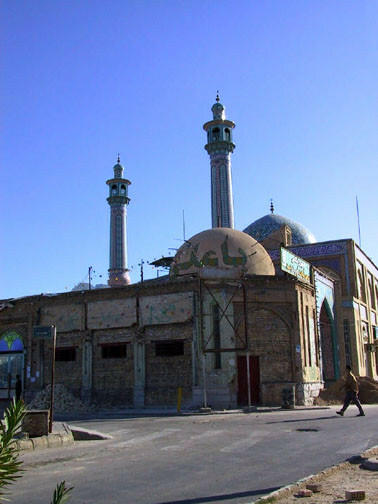 On November 21st, a teenage boy named Sayed Ali Haji Muhammad, later nicknamed Agha Ali, was brought to Meherabad by his father, but Baba refused to admit him. Baba did not want the boy in the school, but after the father entreated Baba to keep the boy, Baba agreed. There was a sound reason for Baba's reluctance which was brought out later. The discourses had a profound effect on Agha Ali. 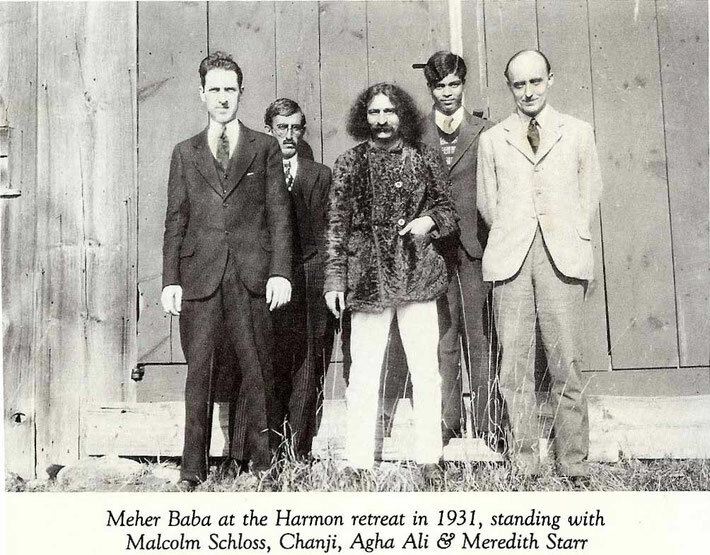 He would write in his notebooks: "Meher Baba is my Master ... Agha Ali, the son of Meher Baba ... This book belongs to the humble slave of Shri Sadguru Meher Baba." The boy expressed his heart's message in pebbles on the ground, and he had a special fondness for collecting things belonging to Baba and used by him. He would save Baba's fingernails, his hair and the cotton Baba would put in his ears at night. The soul was aching with longing. of the Divine Beloved and eternal love. 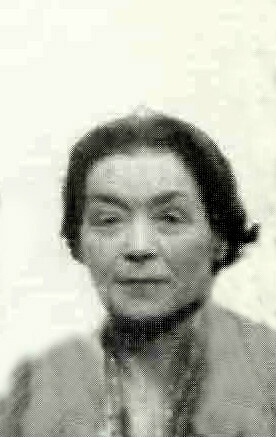 THE INTOXICATING EFFECTS of the Master's wine had disturbed the routine of the school. However, from the 1st of February, Baba had again ordered the twenty select boys to attend the school regularly and be attentive to their studies. Some boys wanted only to sit near Baba and not study, but Baba made them resume class. Agha Ali carried out Baba's wish, and upon seeing his example the other boys also complied. The studies now took on added force, and the teaching was imparted according to the prescribed curriculum. 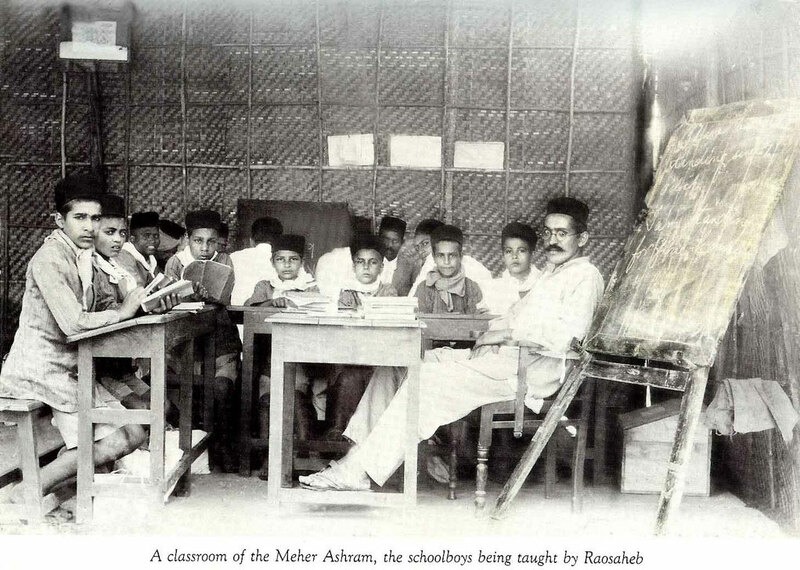 The boys were to appear for their final exams in the Missionary School in Ahmednagar, and it was astonishing that in the end they all passed with very good marks. On February 20th, Agha Ali's father arrived to take him away. When Baba was informed, he sharply remarked, "If Ali goes, everything goes! I will come out of seclusion and close the school." 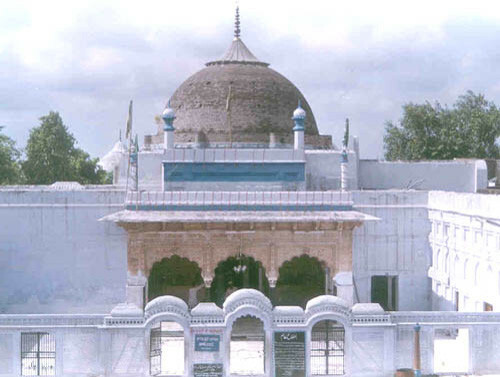 The mandali pleaded with the father, Haji Muhammad, Eventually, they came to a reasonable arrangement, and Ali was allowed to stay in Meherabad. In late March, the boys became unruly and some of them began behaving strangely. At times some would bite themselves, tear their clothes, cry loudly and run away, refusing to come near Baba when called and even directly disobeying him. Even Agha Ali was disturbed and was not above exhibiting such disrespectful behavior, addressing Baba quite rudely on more than one occasion. But afterward he would sorrowfully regret his misconduct. 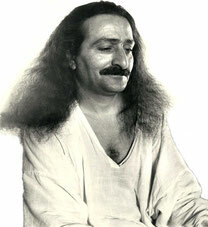 Some months before, Meher Baba had remarked that a great march would take place, but at the time no one understood what he meant. When Agha Ali was taken away by his father, Baba had commented in reference to the ashram, "This will have to be done all over again." Because of these hints, the mandali came to believe that a great change was about to occur, but no one could foresee that the entire Meherabad community would be shifted to a completely different location. Soon afterward, Baba became quite restless and began walking about from one place to another. As soon as he would sit down, he would stand up and move on again. No one could guess the reason or alleviate his apparent distress. The mystery was solved the following day, when Agha Ali's father arrived in Toka, demanding his son's return. Haji had heard a vicious rumor and was upset. 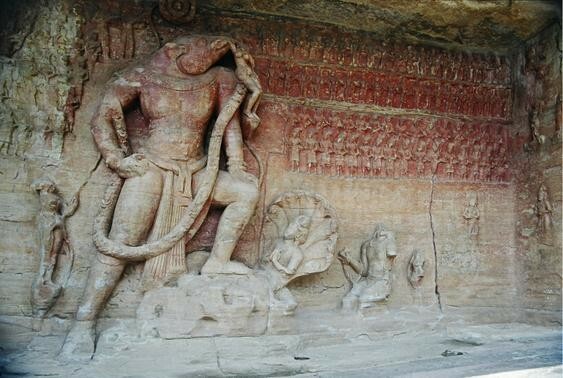 However, due to Raosaheb's convincing assurances that his son was quite well, he calmed down and left. Only then did the mandali understand the reason for Baba's restlessness the previous day. But there was another reason for Baba's sudden break in his confinement. 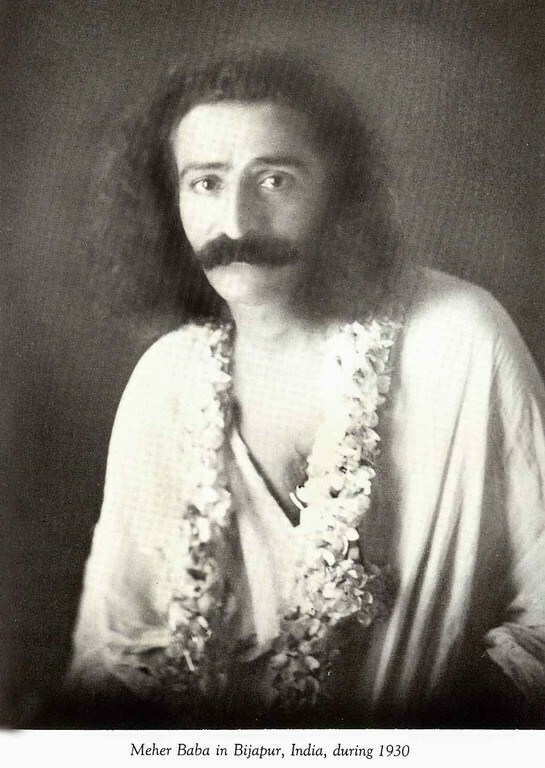 On July 7th, Agha Ali's father again came to Toka to take him away, saying that he had heard a report that Meher Baba had left the ashram and all the school boys had gone insane. 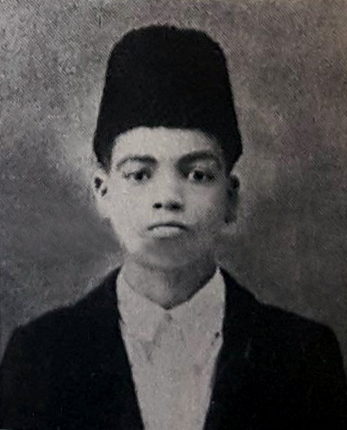 Haji was taken to meet his son and after observing that the boy was well and normal, he returned to Bombay the following day. On July 24th, the ashram boys were punished for their misbehavior the previous day by not being allowed to go near Baba or have his darshan. 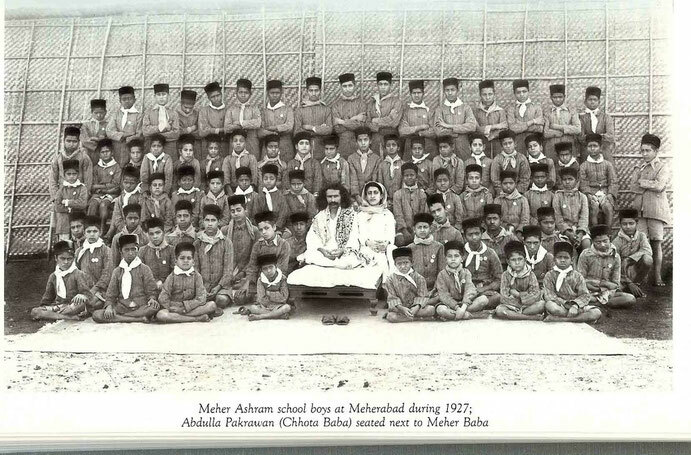 Baba did not visit the school, although he made his usual rounds of the ashram. 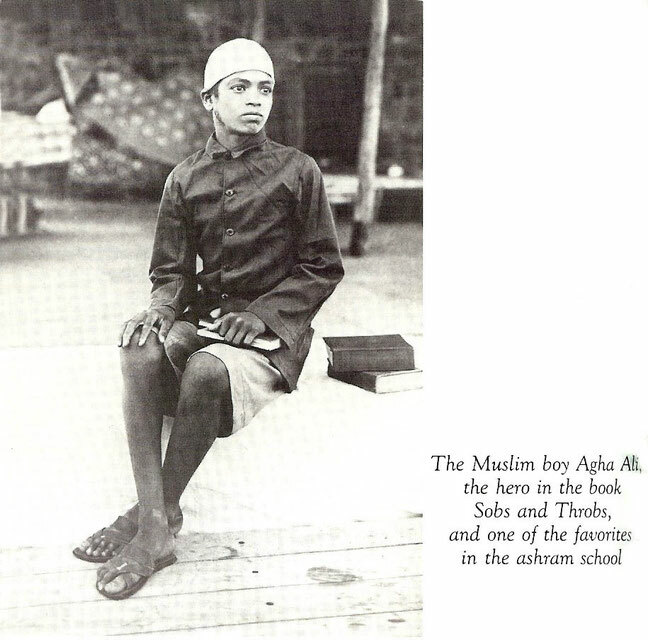 Because of his misconduct, Agha Ali was now ordered to attend school and he obeyed, though he had tears in his eyes and soon expressed his desire to return to Bombay. Baba readily consented and motioned for him to leave immediately, but Raosaheb intervened, appealing to Baba to forgive the boy. After several hours of discussion, Baba at last pardoned Ali. 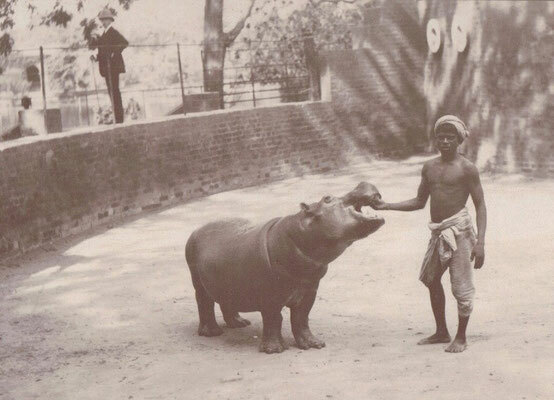 The next day he forgave all the boys and allowed them to take darshan. That same day Agha Ali's father, Haji Muhammad, again returned, demanding that he be allowed to take his son away for a few days. 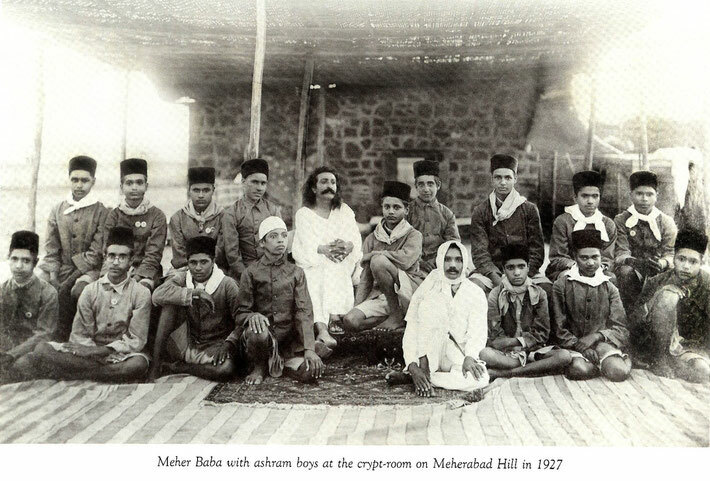 It seems that Jamshed Afseri, who had been recently sent from the ashram, had gone to Bombay and was stirring up heated opposition against Baba and the school. The resentful boy was spreading all sorts of vicious lies about what was happening in Toka; he claimed to have personally witnessed and suffered the cruelty of the mandali, teachers and staff of the institution. Baba was always indifferent to such slander. When this news about Afseri was conveyed, Ramjoo remembered Baba having remarked to him in April, "Afseri is not what he appears. He will prove a traitor." Baba's words were coming true. For two days and nights, the mandali tried to reason with Haji, but the man refused to allow his son to stay. Finally, the mandali reminded him of the agreement he had signed, and they refused to cancel it unless he compensated Baba for the boy's expenses of his education, lodging and boarding to date. Baba of course did not care about the money; the mandali were only trying to make Haji listen to reason. 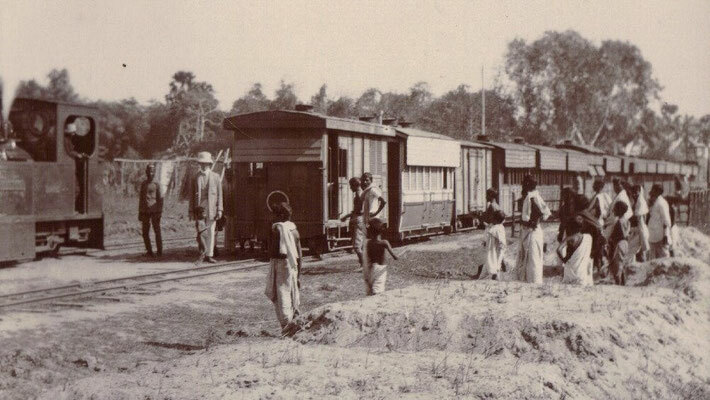 Ali's father left, but was disturbed and did not return to Bombay. He went to Ahmednagar and reported the matter to the police. The consequences of this caused some trouble. MEANWHILE, Agha Ali's father had not found much help at the police station in Ahmednagar. He was informed that his complaint was not a matter for the police but for the courts. When this was reported to Baba, he surprisingly remarked, "It is good if he takes us to court. 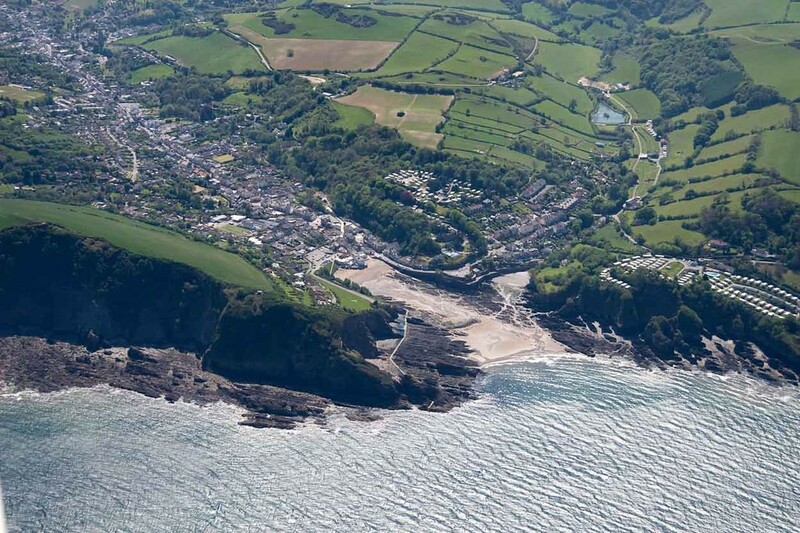 Let the court decide one way or the other so that we will not be disturbed any more." The following day, an elocution contest was held and Dhake and Ramjoo were declared the winners. Just as the prizes were being distributed at five o'clock, the happy atmosphere was spoiled by the sudden intrusion of an angry group of Muslim parents demanding the return of their children, including Agha Ali's father who had brought a legal writ to this effect. Baba had the parents wait and for more than two hours discussed the problem with the mandali, who had various opinions about what to do. 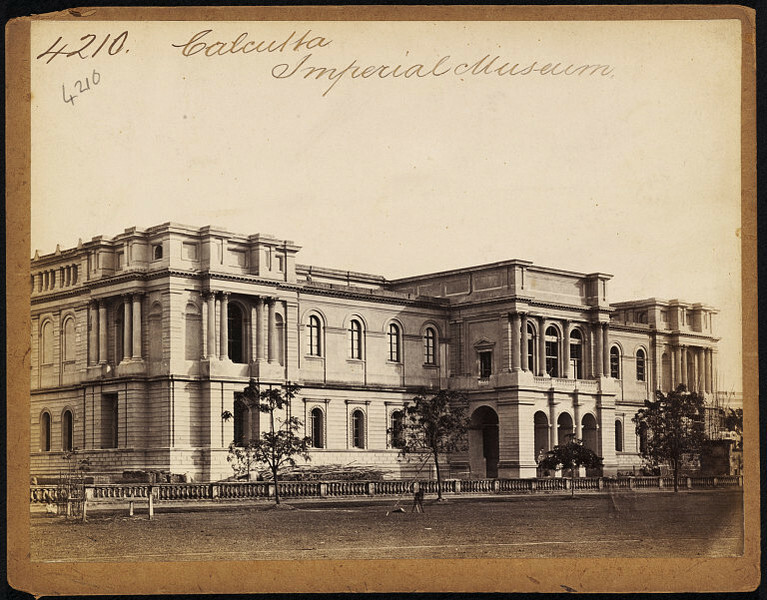 Some felt that they should fight the matter out in the courts, but others felt that they should simply hand over the boys and end the trouble. Surprisingly, Baba sided with the latter group to avoid a court case, and Agha Ali and three other boys were put in custody of their parents that night. Afterward Baba commented about the fate of Agha Ali, "Four boys have departed, of whom Ali was the best. Ali will suffer much, but the suffering will bring him closer to me. To suffer for me is good, though it would have been better had his father let him remain here. If he stays with his parents and is happy, well and good. If he goes mad, his father will bring him back to me. If he dies, he will be liberated. But anyway, it will be all right for he has love which no one can rob from him." MEANWHILE IN BOMBAY, Agha Ali was longing desperately to be in the presence of his Beloved Master and once again, overcoming the restraints of his family, he ran away. 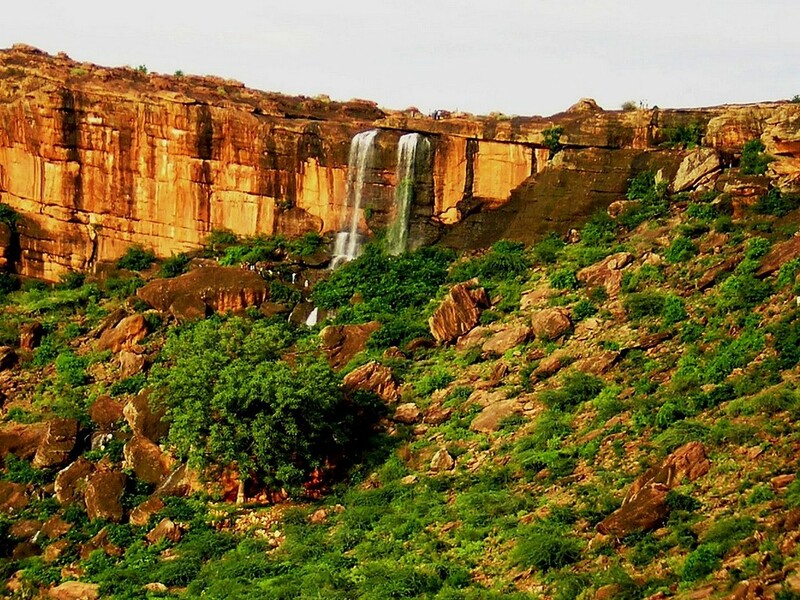 He had almost reached Ahmednagar when a friend of his family recognized him and held him captive, sending a telegram to his father. 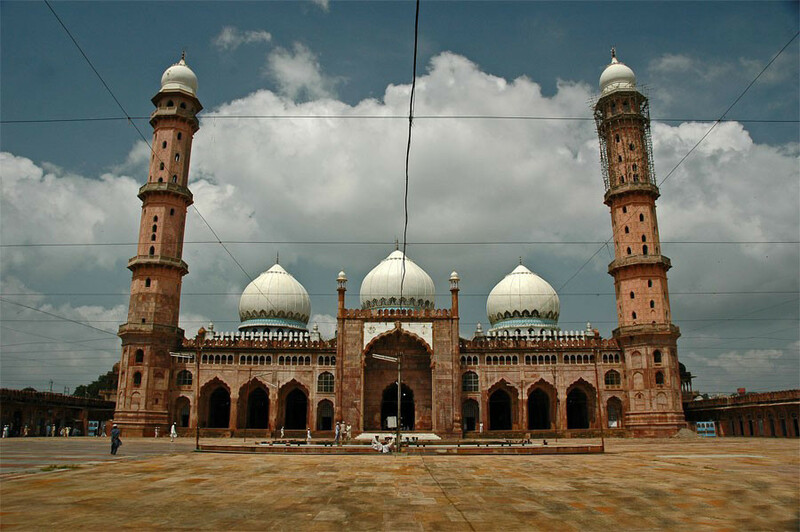 Haji Muhammad left Bombay immediately and came to take Ali back before he could reach Toka. Agha Ali was not the only Prem Ashram boy to suffer separation from the Master and risk grave dangers while escaping from his parents' home to return to the ashram. Coincidentally, on the very same day that Baba left Toka for Nasik, Agha Ali began his second escape from Bombay to Toka. More significantly, Ali arrived at the exact time that Babajan and Meher Baba met at Akbar Press ( Ahmednagar ). At seven in the evening, Baba and the group arrived back in Toka where Baba happily welcomed Ali back, embracing his "hero" tenderly. THE MASTER transferred fifteen of the boys from the Prem Ashram back to Meher Ashram that day, leaving eighteen boys in Prem Ashram: Agha Ali, Ali Akbar, Baban, Babu, Chhabu, Dattu, Daulat, Espandiar, Hormusji, James, Jawanmard, Khuda Bux, Nana, Maruti, Sahu, Suryabhan, Tukaram and Vasant. Eight-year-old Pundit wept profusely, pleading his usual case: "Give me one last chance. You are God, and I am but a little boy! Why be so harsh with me?" And he was therefore included. On October 24th Baba sent some of the Prem Ashram boys to Happy Valley ( near Meherazad ) . 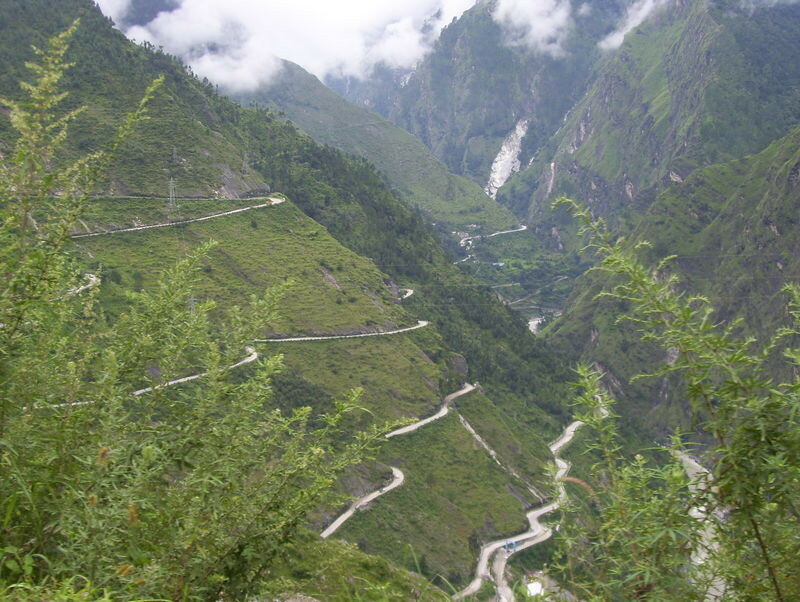 The boys left at five in the evening with Chhagan, Baidul and Karim; Baba arrived the next morning at three-thirty with Abdulla, Jal, Pesu, Rajaram, Ali Akbar, Agha Ali, Kalingad, Baban and Jawanmard. At five-thirty, Baba himself prepared tea and served it, and with the help of the boys he fried bhajiyas. Later Sarosh arrived, bringing vegetables and chapatis. 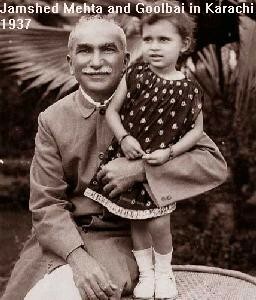 In the afternoon, Rustom's brother Adi came to see Baba and took him for a car ride for about half an hour. The mystery underlying this new development was unraveled when, on November 19th, Agha Ali's father came to Toka for the third time; on this occasion he brought a notorious gangster with him to forcibly demand the return of his son. Ali was handed over to him and they left the following day. It was for this very reason that Baba had been working so strenuously day and night with the boys during the previous few months. As soon as his work was finished, he announced his sudden decision to send the boys away, and the next day Ali's father, who threatened to do violence, arrived. 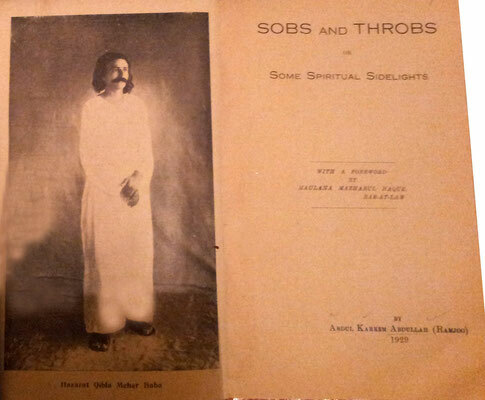 During the previous months, Ramjoo was busy interviewing the students for his book about their spiritual experiences and the events in the school ashram entitled, Sobs and Throbs. 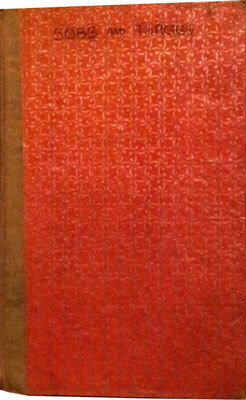 The typing of the manuscript began on the day Agha Ali was removed from the ashram by his father and the bodyguard. 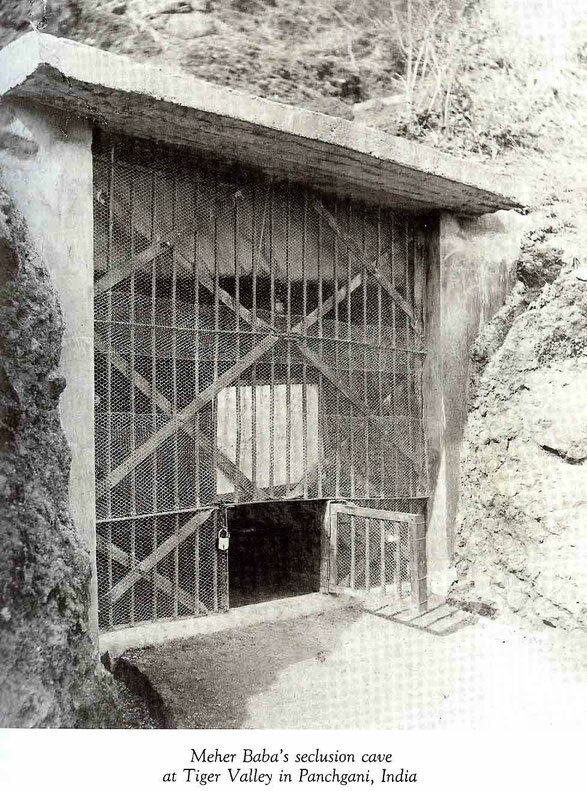 On December 13th, Baba began spending his nights in the underground crypt on the hill. The same day, Agha Ali's father came from Bombay, looking for his son who had run away from home again, although he had not yet arrived at Meherabad. The father gave into the mandali's persuasions and agreed to allow his son to stay with Baba. The next day Ali appeared at the ashram, exhausted from his latest escape. From the second week of December, a few of the other boys who had been taken home also slipped away from their parents and returned to the school ashram. On December 10th, while mentioning how much Agha Ali must be suffering in Bombay, Baba remarked, "I know that he is troubled. All are troubled, yet I will leave nothing unturned in troubling you. All here are harassed, but no one is as harassed as I am!" On January 13th, Agha Ali's father was the first to arrive to take his son away. Baba had warned, "If Ali goes, all go." And this seemed to be happening, for the rest of the boys departed for home later the same day. Raosaheb set off for Iran with the Persian boys; they were especially heartbroken, clinging to Baba's feet and weeping at the time of leaving. Watching them leave, Baba remarked to Ramjoo, "You can now see that the closing of the ashram has some connection with Ali." MEANWHILE, Agha Ali had managed to escape from his home in Bombay, and he returned to Meherabad on January 17th, two days after Baba's walking tour had started. 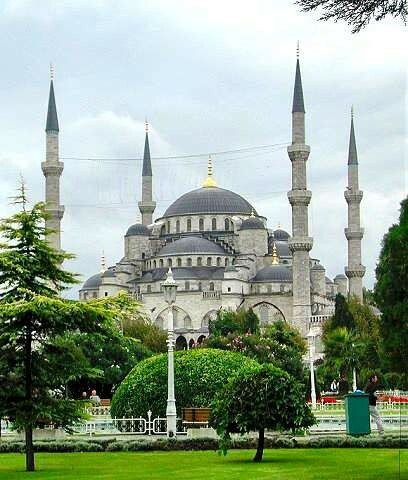 The mandali informed his father of his whereabouts, but this time Haji Muhammad had a change of heart and allowed his son to stay. On May 6th, Agha Ali again broke one of Baba's orders, but Baba excused him. 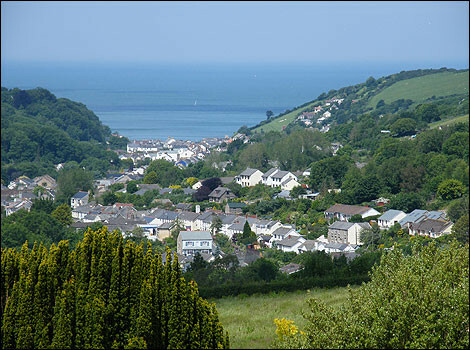 Afterward he remarked to the mandali, "What times we live in. A Sadguru succumbing to a boy!" 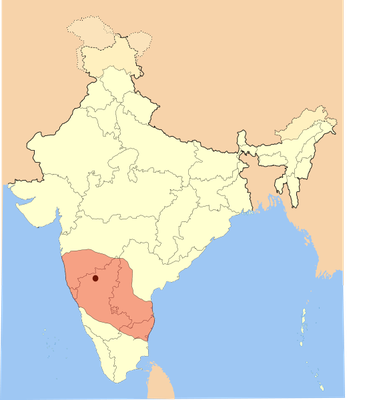 In the interim, Ramjoo and Baily returned to Meherabad. 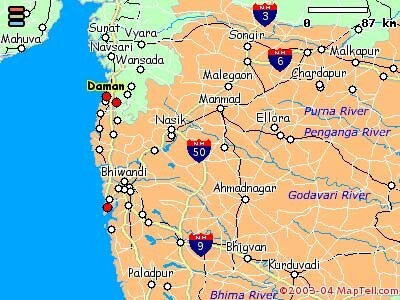 Ramjoo's wife and children stayed in Poona. 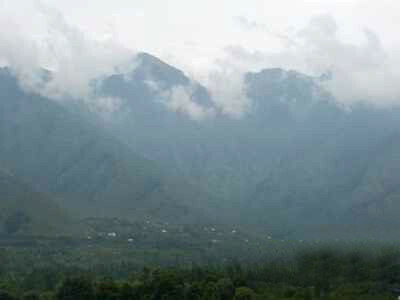 Agha Ali, Abdulla, Dastur, Raosaheb, Sidhu and the rest of the mandali stayed in lower Meherabad, and the other Prem Ashram boys, as well as brother Jal, were moved back up the hill. 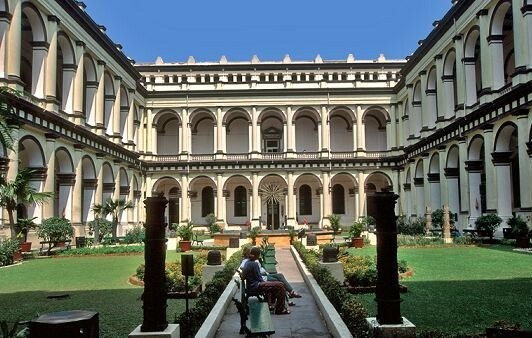 The Shahane and Bomanji families stayed in the Family Quarters. On May 9th, Baba left Ahmednagar for Nasik, where he met Mehera, Naja, Khorshed, Soona, Valu and Freiny, as well as Rustom and Padri. 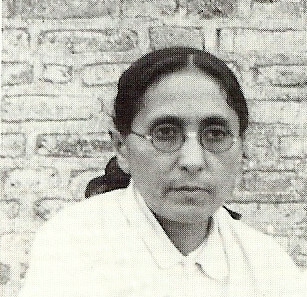 He sent Padri to Bombay, and Rustom was ordered to continue looking after the arrangements for the women mandali in Nasik while Baba was on tour in the north of India – to the Himalayas. ON JUNE 2nd, Sidhu complained to Baba that contrary to his wishes, Agha Ali and Ali Akbar were conversing with the mandali. Baba called the two boys and reprimanded them for their disobedience. 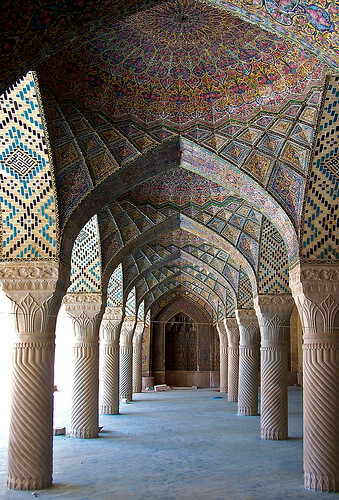 Ali Akbar lost his temper and shouted back. Baba warned him, "If you don't want to remain here, you'd better leave." In reply, Ali Akbar shouted that he was leaving. Baba snapped, motioning, "If you want to go, go! Who cares? When are you leaving?" Ali Akbar remained quiet and Baba then consoled him as well as Agha Ali, "You two don't know how lucky you are to be here. For God's sake, listen to me. By listening to me, you will be able to love me." The women mandali staying in Nasik were feeling the pangs of separation. 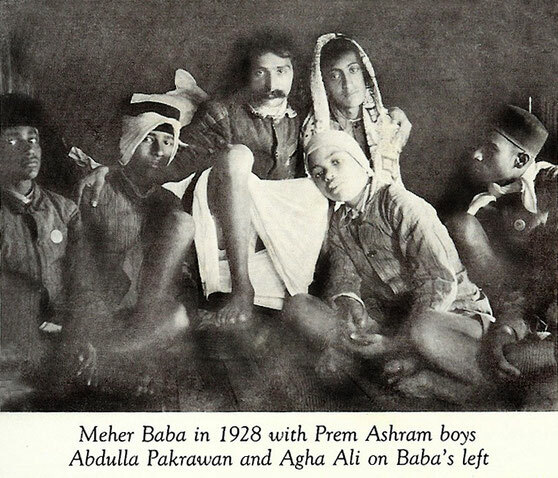 They were looking forward to Baba's arrival from Quetta, but he had gone on to Meherabad to be with the Prem Ashram boys. Only four boys remained and, although he had kept the boys aloof from him since his return, Baba decided to set up a special ashram just for them. For Agha Ali, Ali Akbar, Vasant and Shapur, Baba established a separate ashram on June 8th, and Chhagan was appointed their watchman. By this time, Raosaheb was fed up with the boys' behavior, but Baba kept him as manager of the new Prem Ashram, remarking, "These youngsters are testing your patience. They are doing you much good but you cannot understand it. The best boys become the worst." 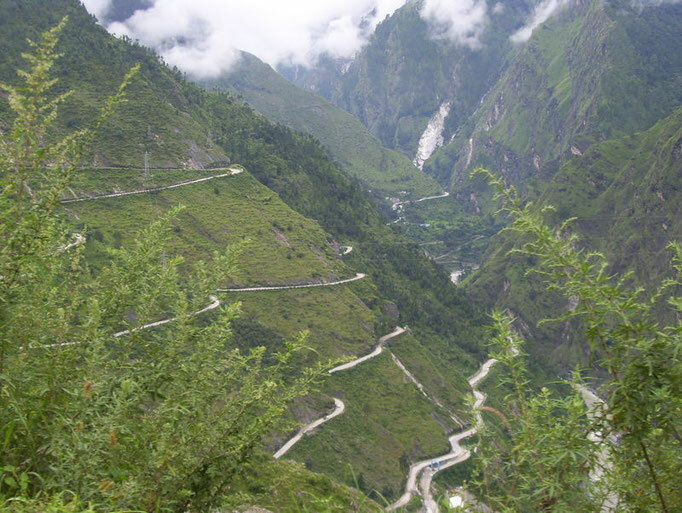 On July 18th, the group drove from Bhopal to Guna. The road was in a very bad condition due to the monsoon's continuous downpour, and with much difficulty, they reached the dak bungalow at Guna in the early evening. Chhagan prepared tea and then cooked dinner. Meanwhile, Baba set out for a walk with Agha Al;, Ali Akbar and Raosaheb. On the road, a strange looking man, who was half-naked wearing only a langoti, approached Baba and silently bowed to him. He then gave Baba a flower and a handkerchief, and just as mysteriously walked away. Don't ask why; there is a reason. You know well how much love I had for Agha Ali at first. I actually gave a party to all at Meherabad when he returned for the first time. I kept him so near me for a certain period. Then I gave him up – kept him far from me for a long time and actually did not see him for many days. Recently, I have kept him quite close to me. However, from today, I am again keeping him aloof and am not even touching him. There is a reason for this, of course. But let that be as it may and listen to what I state. You all should not talk to Agha Ali; do not even look at him and do not touch him. He is a very good boy if he is in a good mood, and a very bad boy if he loses his temper. His heart is very good, but his head is too strong. His love for me is excellent, but he is so obstinate that he will purposely do a thing which he is asked not to do. But don't mind that. Don't tell him not to do a thing, and he will eventually get tired and give it up. Particularly, don't have any connection with the two boys, especially with Agha Ali. He may become the closest to me, or I may keep him the furthest away; it will be as I choose. I only want him to progress in the path where, if he were to enter it, he will have achieved something; otherwise, he may end up topsy-turvy. He is so energetic that he will! He is puffed up, but after all, he is only a boy. Whatever habit he may develop, be it good or bad, he will hold to it with the energy that abounds in him. 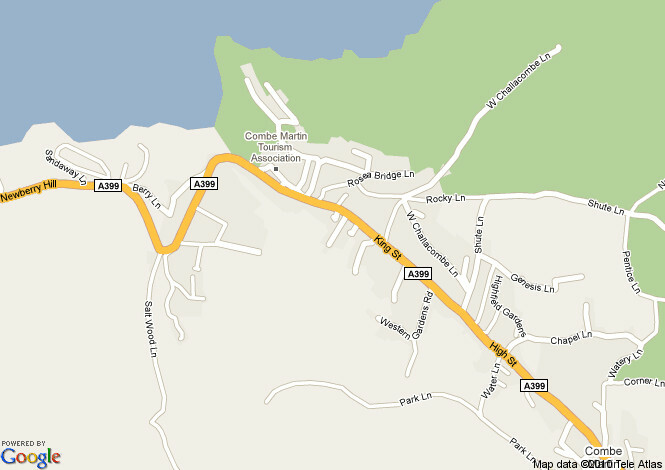 But the chances of turning bad are great, for there are many attractions. I am trying to keep Ali out of such habits in my own way. You don't need to think about it in the least, but listen to me and obey what I order. 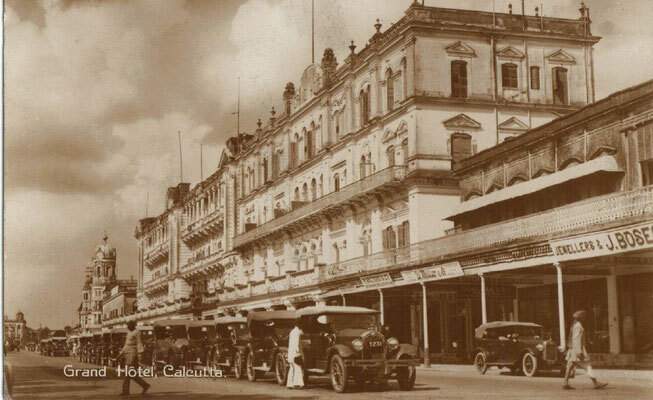 On July 26th ( 1929 ), they moved to the Empress Hotel in Lahore. This was the first occasion during the journey they stayed in a decent hotel. Baba passed the whole day by listening to records and playing cards with the mandali. In the evening he went for a stroll with Raosaheb, Agha Ali and Ali Akbar. Baba then again put on his patched kamli coat, and from the mandali's cottage, he climbed the hill with Raosaheb, Chanji, Buasaheb, Ramjoo, Abdulla, Agha Ali and Ali Akbar. Returning, they spent a freezing night in the cottages below. Baba gave his carpet to Agha Ali to sleep on. When you had the chance to touch me and I was embracing and kissing you, you put on airs and were coquettish and thereby lost the chance. Now what is the use of crying? If you neglected the opportunity, and were hesitant when embracing was allowed, there is no use crying now. But after all, what is there in touch? Inner love has nothing to do with the outer body. If you have that feeling and love, it is enough – it is quite sufficient. 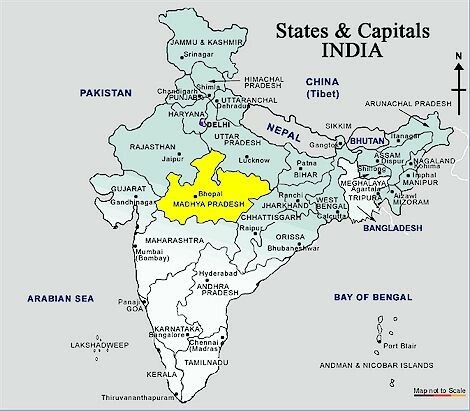 After travelling for four days, they reached Panipat on August 15th. Baba, with the help of Agha Ali, prepared tea. He later remarked, "From today, we won't stop in any city or town for the remainder of our journey." So from Panipat, they began camping out in the open under the shelter of trees during the night. While journeying to Kashmir, they had slept in hotels or dharmashalas; but from now on, Baba wished to spend the night under the stars, in forests or by the side of a river. They would drive all day, stopping only for their morning meals, and continue driving late into the night, sleeping outside, sometimes even in the rain. The following day, eight miles from Agra, Baba selected a spot to camp. The meal was cooked by Baba, with Agha Ali and Ali Akbar assisting him. ON THE MORNING of Sunday, August 25th, Baba discussed visiting several other places. 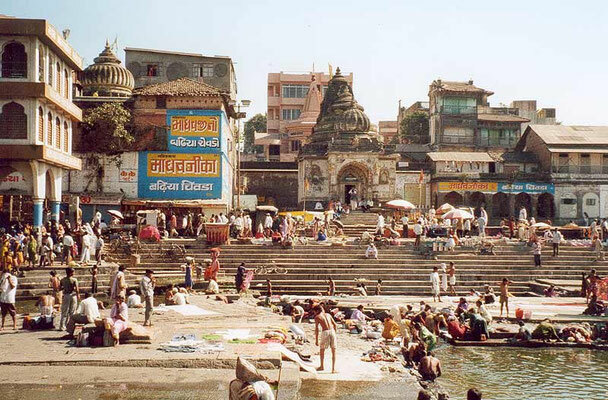 However, it was decided to proceed to Nasik, which they reached at nine o'clock that night. The journey came to an abrupt end for the three boys; Baba decided to send Agha Ali, Ali Akbar and Abdulla with Raosaheb to Quetta. Baba and the mandali went to see them off at the railway station the next day, and it was a very touching sight to see Baba embrace the three boys. 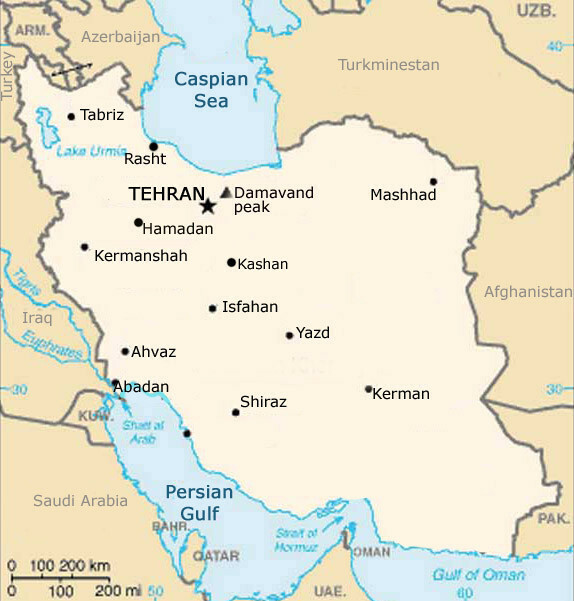 From August 28th to September 2nd, 1929, Baba held long discussions for finalizing plans for another trip to Persia. Baba decided that the following eleven men should accompany him: Buasaheb, Chanji, Chhagan, Gustadji, brother Jal, Kalingad, Karim, Maruti Patel, Masaji, Sidhu and Vishnu. Meanwhile, Raosaheb, Abdulla, Agha Ali and Ali Akbar, who were in Quetta, were sent a cable to meet them in Persia. 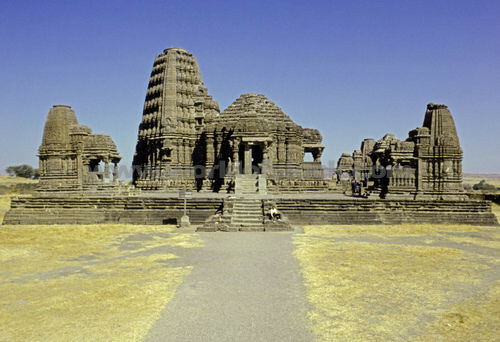 Bomanji, Baily, Dastur, Padri, Ramjoo and the mast, Mastan, were to stay behind in Meherabad. Sailor was sent to Nasik and Babu Rao relocated in Manmad. Meanwhile, Agha Ali's parents appeared on the scene, demanding to know what was Baba's intention concerning their son. 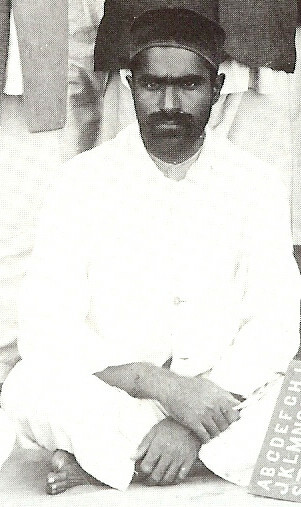 Ali was staying in Quetta with Ali Akbar and Abdulla under Raosaheb's care. During the farewell darshan program for his many Bombay devotees, Baba patiently explained his current plans to Agha Ali's parents. 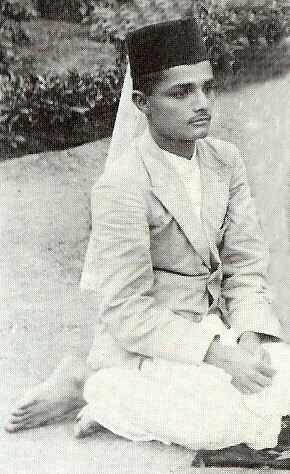 WHILE ON BOARD the S.S. Versowa, Baba frequently remembered Agha Ali and would often kiss his photograph. 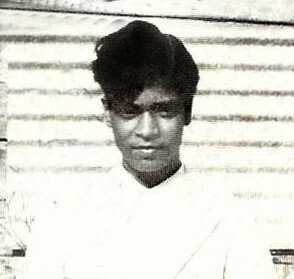 During the voyage, Maruti Patel and Buasaheb became seasick and their treatment was arranged. Both men were incapacitated. 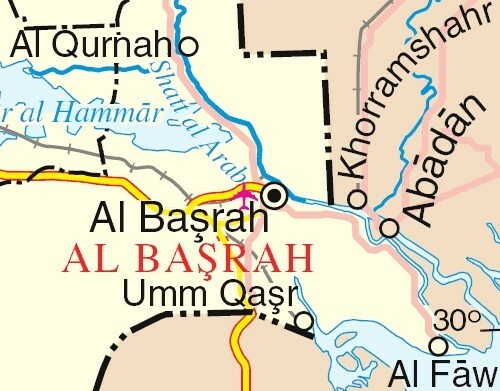 Since arriving, everyone had been thinking of Raosaheb since he had failed to arrive in Mohammerah with Abdulla, Agha Ali and Ali Akbar as planned. Baba had telegrams dispatched to various people in Persia trying to locate them. Due to an accident to the bus they were travelling on, Raosaheb and the boys had not been able to arrive on schedule. 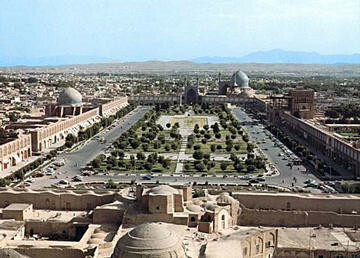 WHILE IN ISFAHAN, Baba would spend much time with Agha Ali, Ali Akbar and Abdulla. By October 20th, Baba was ready to move on and future plans were discussed. Baba stated, "I have to remain in seclusion for four months. 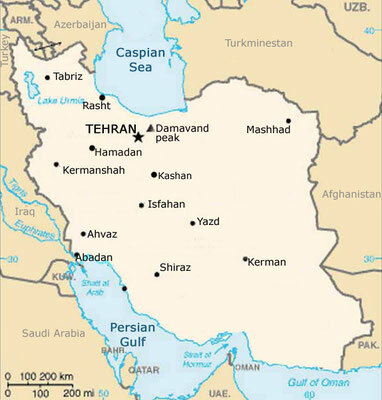 For that purpose, Isfahan is not a suitable place. We have to go somewhere else." On October 27th ( 1929 ), the group went to the town of Mubarka where Baba met Buasaheb's father, Faredoon. Agha Ali's relatives also lived in Mubarka and the group visited their home. However, the relatives insisted on keeping the boy with them and would not allow Ali to travel with Baba any further. Baba was unhappy over the situation but instructed the mandali to let Ali stay. Because of this disturbing incident, Ali Akbar and Abdulla were also sent back to their homes in Persia. Agha Ali's relatives were so opposed to Meher Baba that one of his uncles actually hid a pistol in his boot, intending to kill Baba! But when the man came face to face with Baba, he completely forgot what he had come to do and bowed to him, taking darshan instead. He later repented for his ill-intended plan and sent Baba a large basket of peaches as a gift. 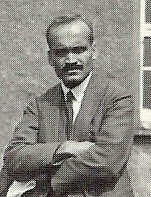 In the interim, Raosaheb arranged for a house where they stayed. 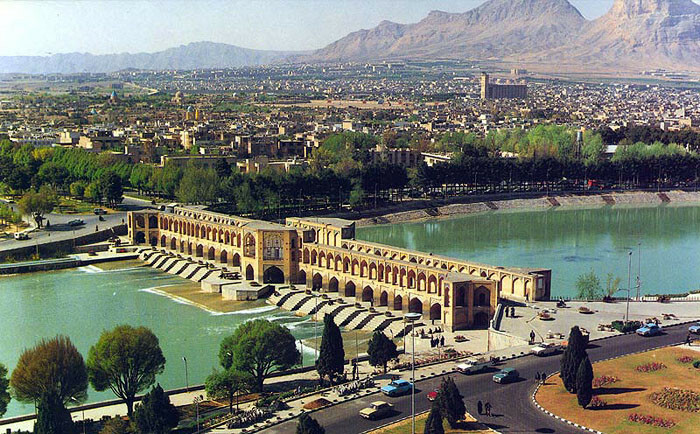 They bathed for the first time since leaving Isfahan. Soon after, a discussion took place about returning to Meherabad. To substitute for Agha Ali, Baba wished to travel with another Persian boy of good character, whom Raosaheb went in search of and found. Baba later explained to the mandali, "If a good boy of my liking is found for my work here, Agha Ali will return from Persia. For the sake of Ali and to make my work easier, do your best to find a good boy. 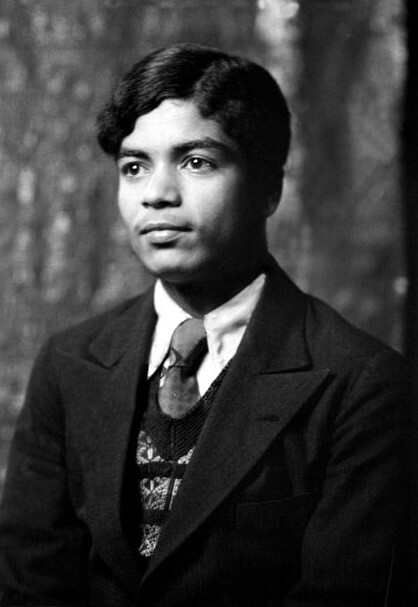 I still have much to do with Ali, and my work will be facilitated by his coming back to stay with me." After two days, Baba returned to Nasik with all their belongings. He put a new bedroll aside, remarking, "This is for Agha Ali." He then turned on Raosaheb, scolding him bitterly, "It was you who made Ali run away! You envied him and wished him to leave. You stubborn mule, you always picked on him and were a constant loggerheads with him. Now that he is gone, you must be feeling pleased. He left because of you – you jungli! You have failed to think of my work. You have no idea how much my work suffer because of Ali's absence." 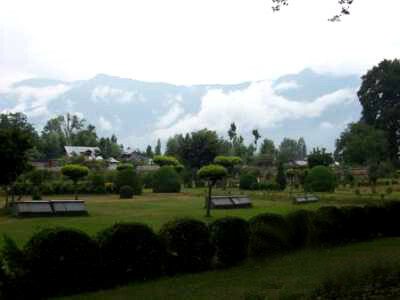 FRUSTRATED in his search, Baba soon after had a telegram sent to the father of Pandit, the Kashmiri boy he met in Harvan. 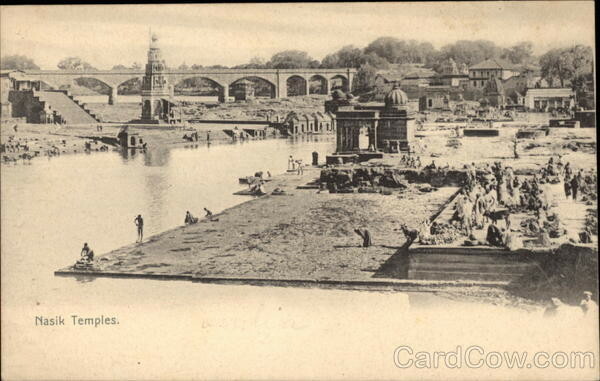 The telegram requested the father to send his son to Nasik. 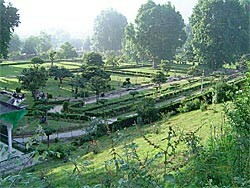 Baba remarked, "If Pandit comes, my work will be done; otherwise, I will have to proceed to Kashmir myself to see him." He cryptically added, "Pandit is the link, and by my holding fast to this link, Agha Ali will be able to return from Persia." During this seclusion period, Mother Shireen arrived for a visit. On January 20th, Agha Ali's father came to Nasik and Haji Muhammad promised Baba to send for his son in Persia. Meanwhile, Baba ordered Ramjoo, who was living in Lonavla with his family, to join the Sarosh Motor Garage in Nasik and start work there from January 22nd. 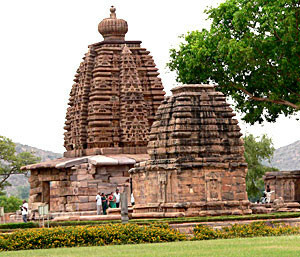 They reached the town of Hubli on March 9th, having driven through Mallur, Shimoga, Honnali and Harihar. At Hubli they received two telegrams, one from Minoo Pohowala and one from Kaka Baria. Kaka had wired that Agha Ali had not yet arrived in Bombay, and Minoo's telegram acknowledged receipt of Baba's previous telegram. Baba asked, "Should we go to Bijapur or not?" 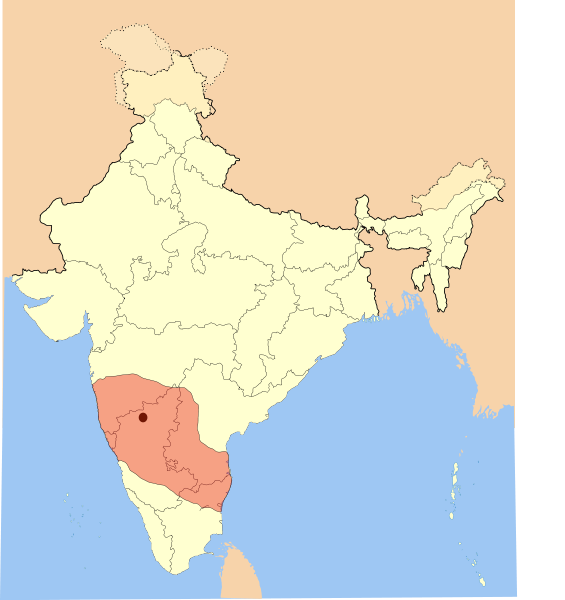 They discussed the alternative of visiting Panchgani, but due to Kalemama's difficulties with arranging matters at Panchgani, it was eventually decided to go on to Bijapur. 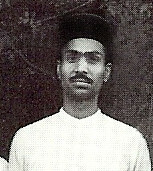 After his return to Nasik, Baba sent Raosaheb to Bombay to see Agha Ali's father. Raosaheb was informed that Ali was unable to return from Persia because his mother was unwilling to send him back. 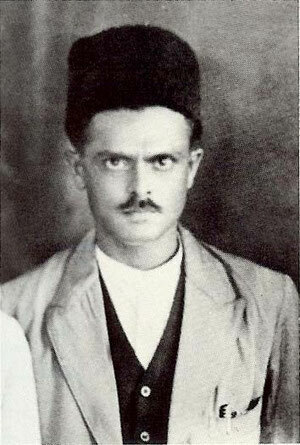 Raosaheb returned to Nasik on March 13th ( 1930 ), and a telegram was sent to Ardeshir in Persia saying that if Agha Ali was not allowed to return to India, Ardeshir should return. Meanwhile, Baidul's letter from Persia about Agha Ali was received. He wrote: "Agha Ali is much troubled. He has stopped eating and is anxious to come to Baba at any cost." Afterward, Baba only commented that he would take care of it. 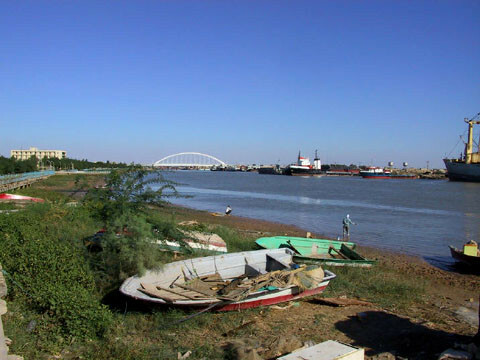 BAIDUL returned with Ali Akbar from Persia, arriving at Meherabad on April 4th. Baidul told Baba that, despite his best efforts, he could not bring Agha Ali because the boy's relatives would not allow him to leave. Baba commented in reply, "There is love in Ali – the longing, the sorrow of separation, a disgust with remaining in Persia – and everything else that is necessary. But it remains to be seen whether he listens to me or not. If he follows what I say, it is enough for me. "It is all necessary," Baba concluded. 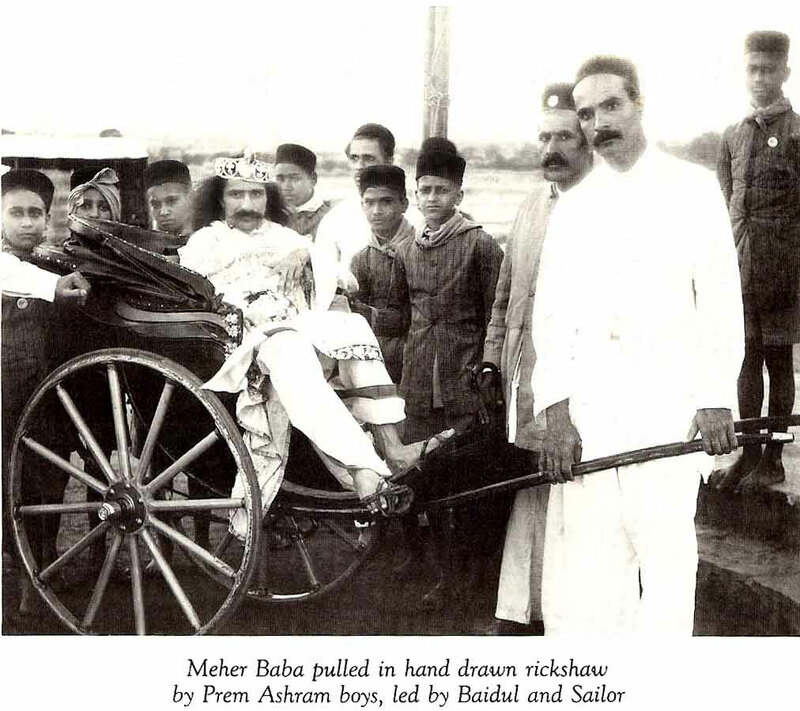 Baba then directed Baidul to return to Persia after resting in Meherabad for a few days and instructed him further about trying to bring Agha Ali back to India. The next day, Baba called a meeting with Buasaheb, Raosaheb ( Beheramji ), Vishnu and Chanji. 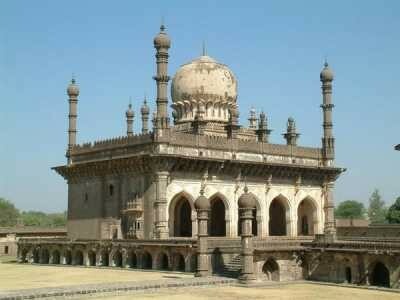 He sent Vishnu to Nasik and Chanji to Bombay on some work. Baba also instructed Raosaheb to go to Nasik and then to Bombay to meet up with Chanji in connection with bringing Agha Ali from Persia. 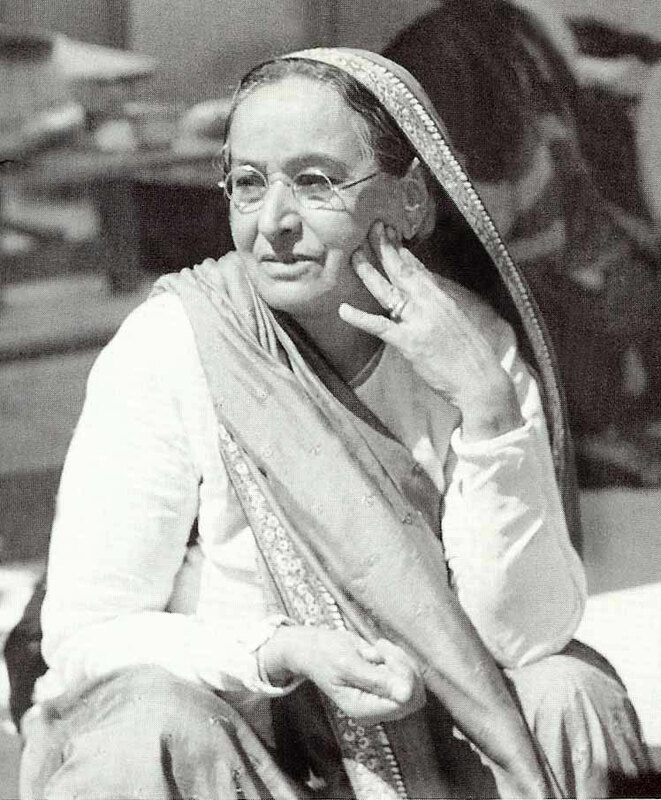 Chanji was to see Ali's father in Bombay and make him agree to some decision about Ali's return, so that Baidul might not face more difficulties in bringing him back to India. 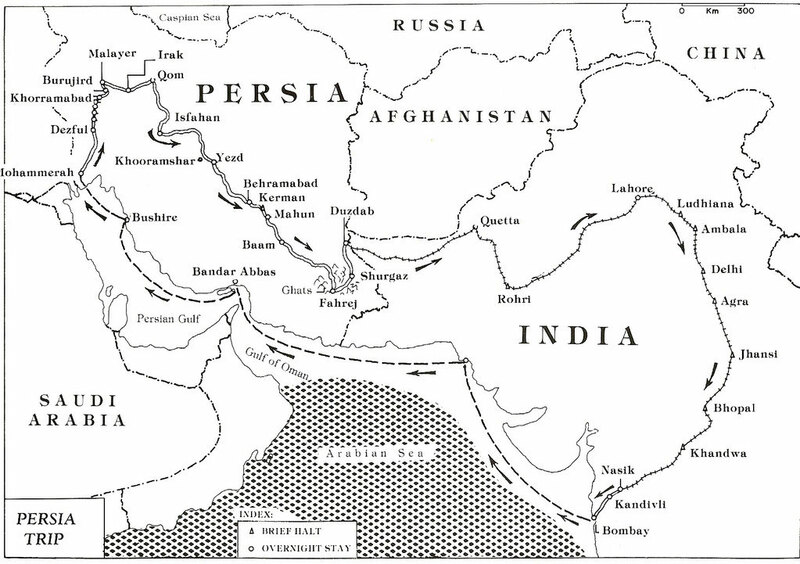 A cable was then sent to Ardeshir in Persia to bring Agha Ali. Baba later instructed Chhagan to find a few good boys in the area. Chhagan brought three lads, but Baba did not approve of any. Besides working on the cave, Baba also asked Kalemama to bring a boy from Panchgani. 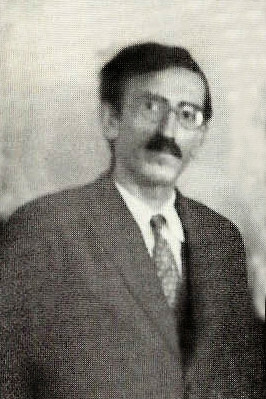 On more than one occasion, Baba expressed much concern about bringing Agha Ali from Persia. 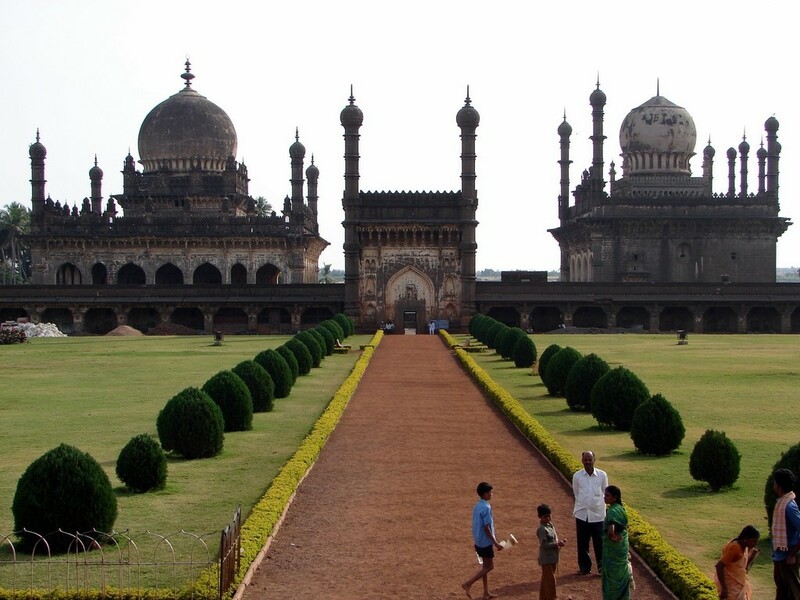 Previously, he had sent Raosaheb several times to Bombay to confer with Ali's father, Haji, about when the boy might be returning to India. Later that day while alone with Raosaheb and Baidul, Baba discussed going on tour back to Kashmir and emphasized to them to keep it a secret. The mandali at Meherabad and Nasik were not told about it; meanwhile, Baba prepared for the upcoming journey back to Srinagar. 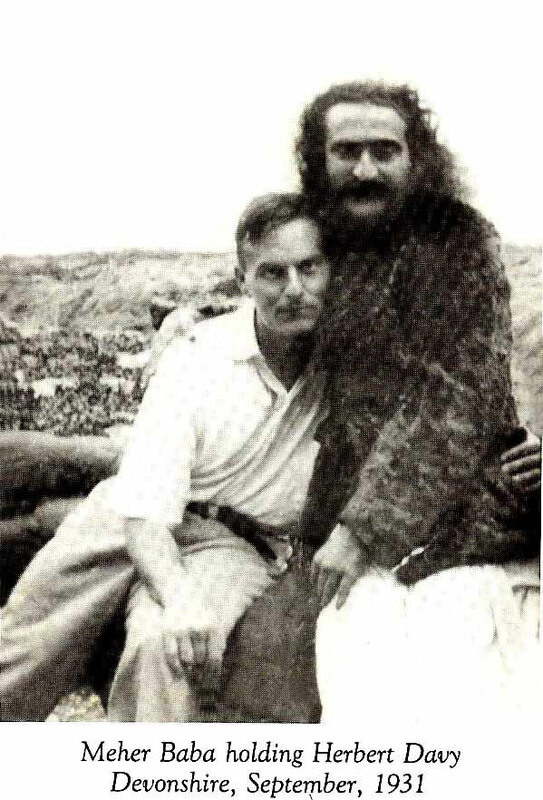 Later that day, Baidul was sent by Baba to Persia to try and bring Agha Ali to India. 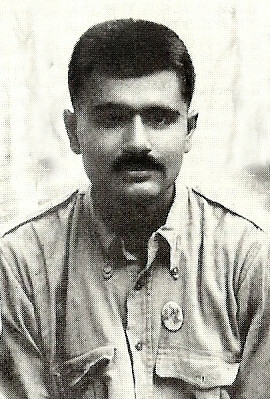 PRIOR TO reaching Kashmir, another lad named Tulsi had been found in Lahore, and was travelling with them to Srinagar. 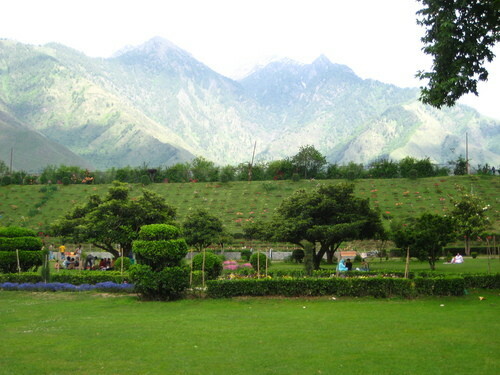 The group reached Srinagar on June 23rd ( 1930 ). Early the next day, Baba sent Vishnu and Raosaheb to Harvan Village to bring the boy Pandit to him. Baba had cryptically remarked earlier, "Pandit is the link in bringing Agha Ali back to me. Through my contact with Pandit, Ali will return from Persia." Tulsi was also a link, but Baba did not explain exactly how he was connected to Pandit or Agha Ali. The Master's work with the children had been a serious preoccupation since the days of the Meher Ashram and he was contacting all the links concerned; Tulsi was one of them. On August 16th ( 1930 ), Baidul arrived in Nasik with Agha Ali and Mehrabanpur. Baba was very, very happy to have Ali back with him, and the boy was moved to tears in Baba's embrace. Ali had been away ten months. 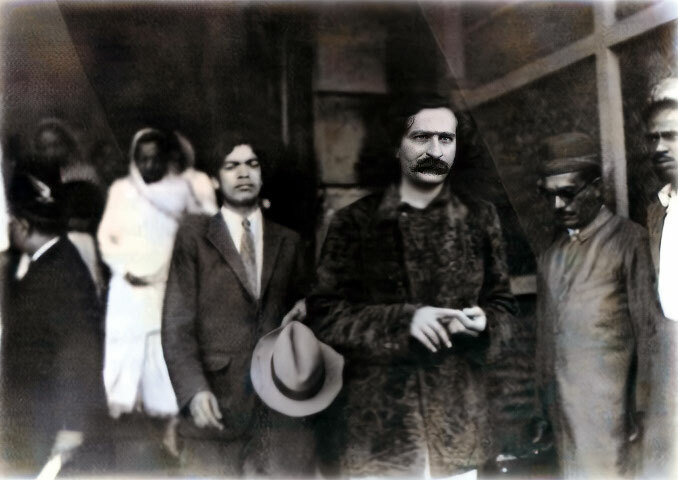 Wishing a change, on August 20th ( 1930 ) Baba left Nasik for a visit to Calcutta with brother Jal, Raosaheb, Karim and Agha Ali. 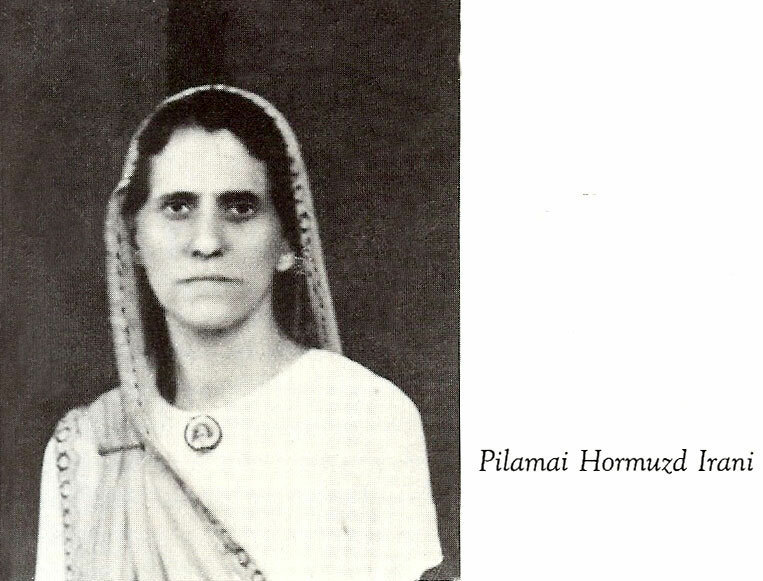 Meanwhile, Minoo Pohowala had arranged for the men mandali's stay in Bijapur, and all twenty-two of them, including those still fasting, left Nasik for Bijapur on August 21st. 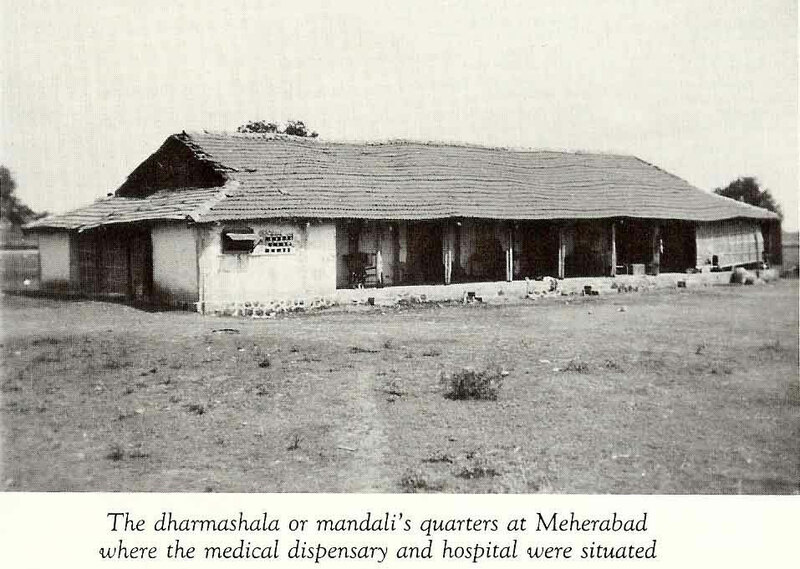 The mandali were instructed by Baba to remain there until the end of October. Buasaheb and Chhagan were still in Panchgani, where Buasaheb had been in seclusion in Baba's cave in Tiger Valley since June 21st. 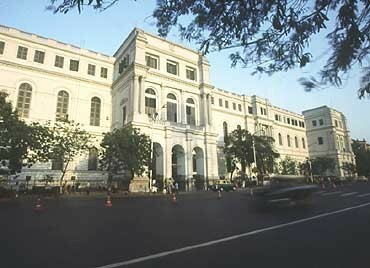 Baba remained in Calcutta for three days. During this short stay, Baba took Agha Ali all over the city – to the zoo, museum, Croft Market and showed him other sights of interest. 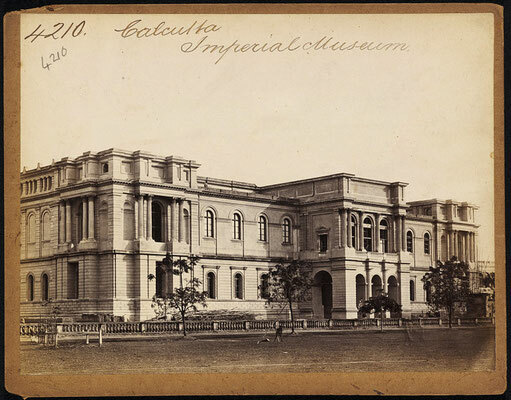 While in Calcutta, Raosaheb was quite exhausted from arranging all this sightseeing and was also recovering from his recent trip to Kashmir, where he had recontacted Pandit. In an ill mood, Raosaheb wondered why Baba put him to so much trouble over these two boys. He was noticeably very upset. 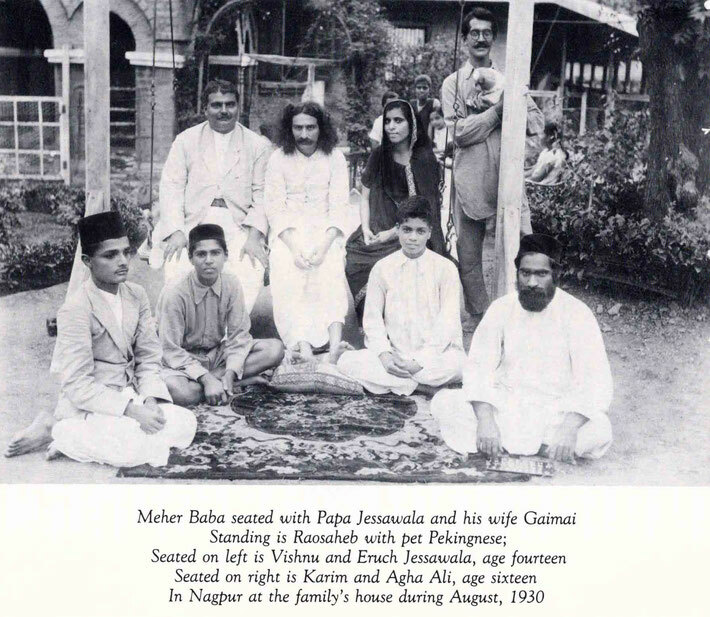 Baba reached Nagpur with Raosaheb and Agha Ali on August 24th ( 1930 ), and was received reverently with all love. At the time, Eruch Jessawala was fourteen, and he and his two younger sisters, Meheru and Manu, were studying in school. Also living with the family was Gaimai's nephew Dadi, who was then only three years old. 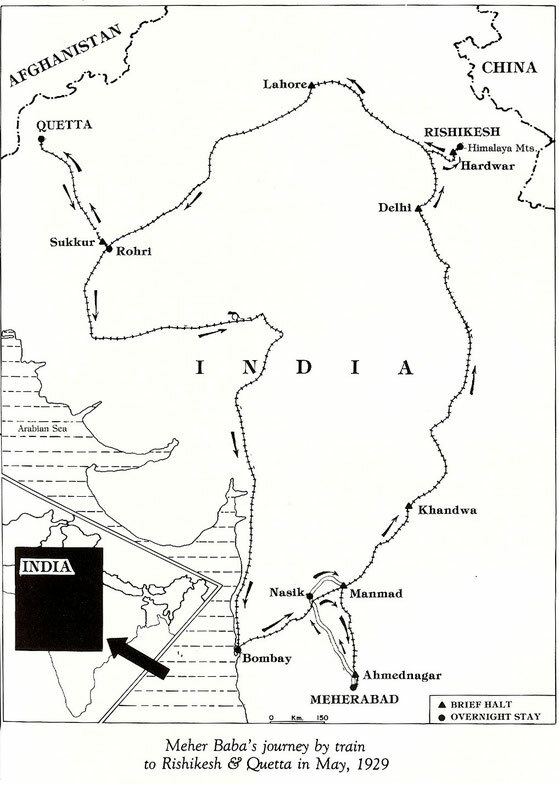 Baidul's cable from Persia was received that day, conveying the good news that he was on his way back to India with Agha Ali. 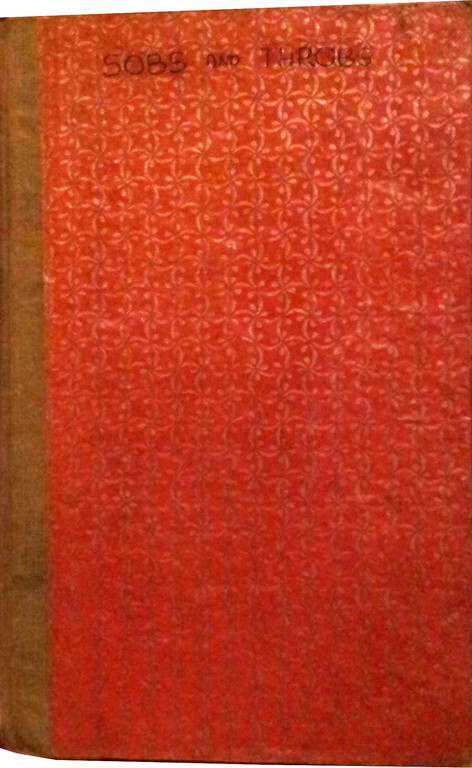 Baba explained that this was the result of his five minute meeting with Pandit, the Kashmiri boy. prevented from entering India without passports. On August 1st ( 1930), Baba sent this telegram to Rusi at Quetta to do all he could to help: "Exert all your influence. Boy's presence here most essential. Consider this my greatest service. Leave nothing undone to help them come here." Rusi sent a telegram back the next day that the group had been allowed to enter India. Baba cabled back on August 3rd: "Pleased you have done such a great service to me about which you have no idea and for which you have my special blessing." 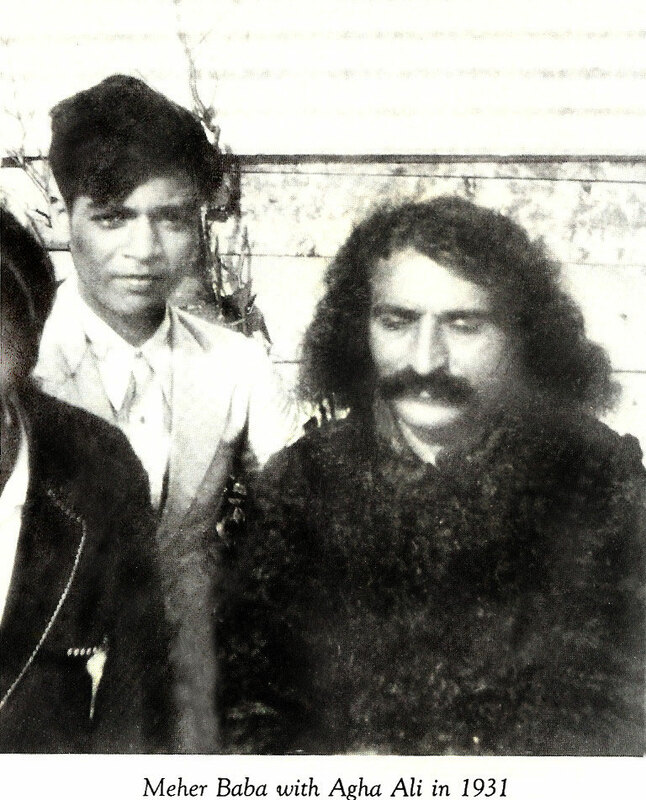 On August 16th, Baidul arrived in Nasik with Agha Ali and Mehrabanpur. Baba was very, very happy to have Ali back with him, and the boy was moved to tears in Baba's embrace. 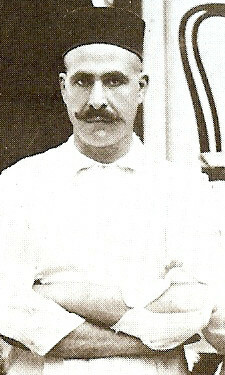 Ali had been away ten months. On one occasion, Baba opened Eruch's trunk containing his clothes. He took out a shirt and pair of pants, held them up to examine them and motioned to Gaimai, "I must have clothes like this prepared for Agha Ali." 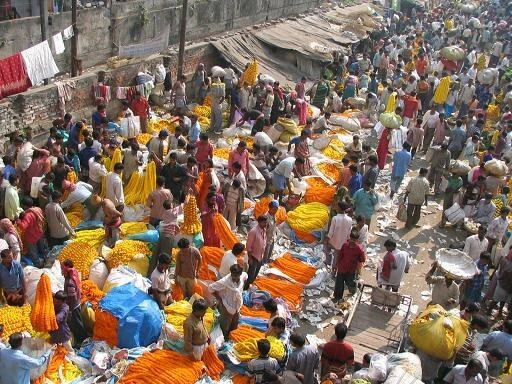 Gaimai immediately sent for her tailor, a Gujarati man who was very old and partially blind. Baba himself explained to the old man about sewing suits for Ali, and Gaimai gave him silk fabric that had been meant for her son Eruch. Sometimes at night while sitting on their respective beds, Baba and Agha Ali would have fun by throwing pillows at one another. When Gaimai saw this, she was shocked and corrected Ali, "Have some respect for Baba; don't behave like this with him!" Baba intervened and, in turn, corrected Gaimai, "The boy does it to please me, and to keep my pleasure is to respect me. If, despite my telling him to do so, he did not, that would be showing disrespect for me." 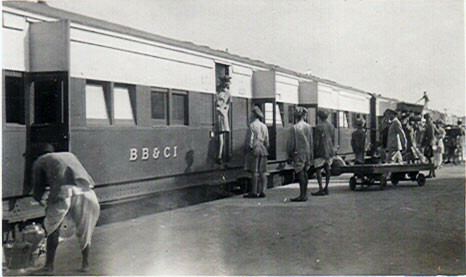 Accompanied by Chanji and Raosaheb, Baba left for Bombay on January 1st, 1931. Preparations were being made for another journey to Persia, which was kept secret. 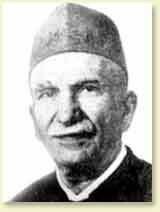 In Bombay, the work of obtaining passports and visas for Baba, Chanji, Raosaheb, Buasaheb, Gustadji and Agha Ali was being attended to and, except for these five, no one else knew of the intended trip. Agha Ali was staying with his father in Bombay. Baba sought Haji's consent to allow Ali to accompany him to Persia and Haji consented. 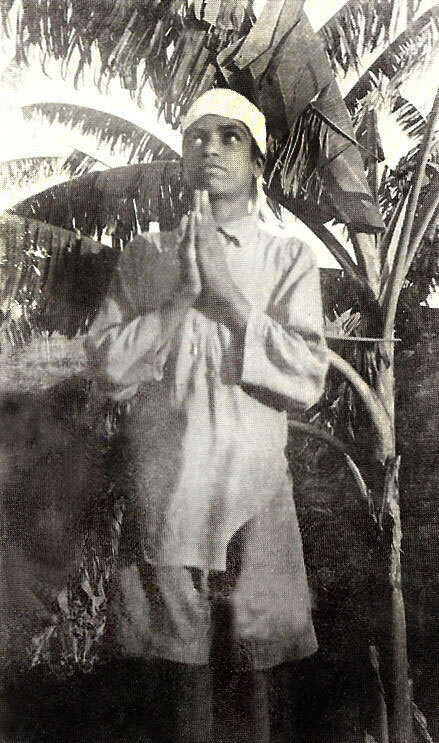 Baba left Bombay and reached Meherabad on January 3rd. 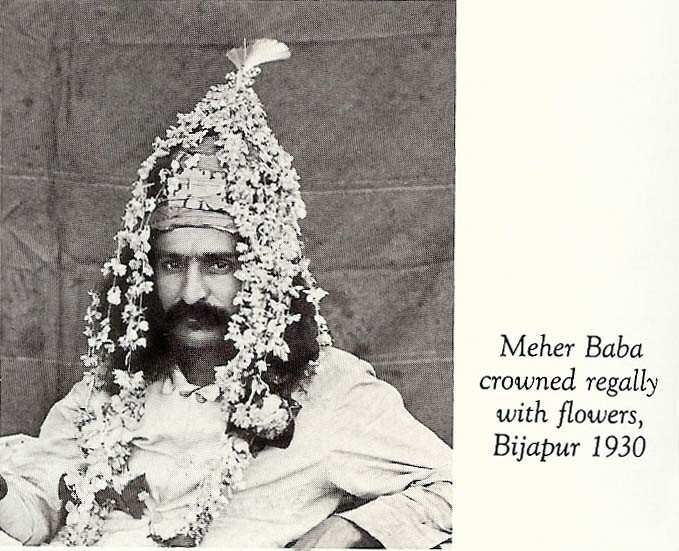 MEHER BABA had not informed anyone of his future plans. 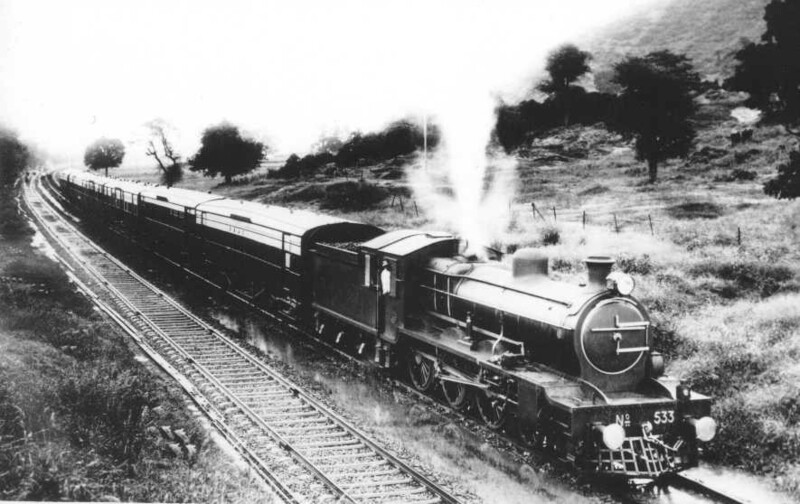 On April 22nd ( 1931 ), he and a small group quietly left Nasik for Kolhapur and Talegaon. 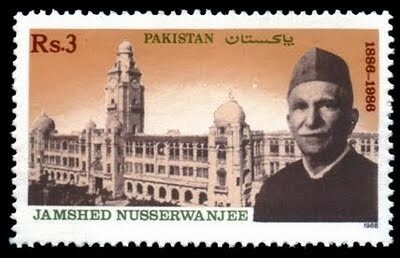 He then went to Bombay and left for Lahore on April 26th, accompanied by Agha Ali, Buasaheb, Chanji, Gustadji and Raosaheb on the Frontier Mail train. 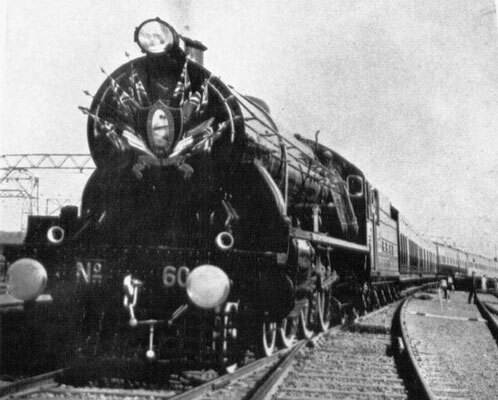 Reaching Lahore on April 28th, and leaving Buasaheb, Gustadji and Raosaheb there, Baba departed for Karachi with Agha Ali and Chanji. They arrived in Karachi the next day and stayed at Pilamai's house. 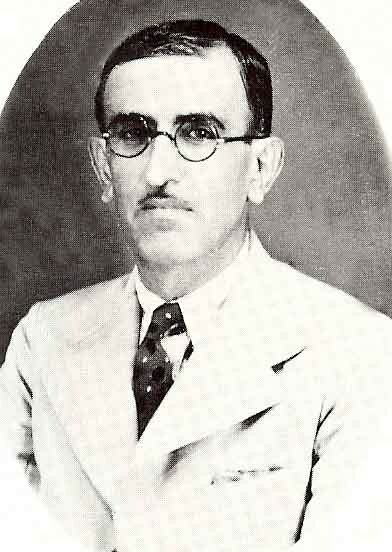 On May 1st ( 1931 ), Baba left Karachi with Agha Ali and went back to Lahore; Chanji stayed behind and joined them later. On May 11th, the entire group met together in Quetta, where Rusi had rented a special house for Baba. However, Baba did not like it and returned to his old room in Rusi's home, while the mandali stayed in the adjoining house. 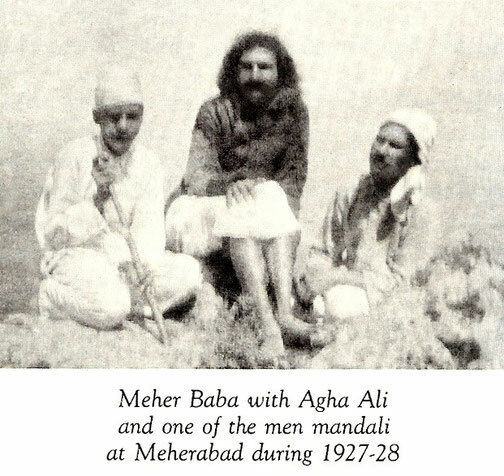 While in Meshed, Baba kept Agha Ali by his side at all times. Baba once remarked about the boy to the mandali, "If Ali remains pure, I will make him a salik!" Ali was now serving as Baba's personal aide and would also read his alphabet board. On July 6th, Baba began a fast. He was joined in the fast by Buasaheb, Baidul and Agha Ali, which all broke four days later on July 10th – the seventh anniversary of the Master's silence. Pilamai performed Baba's arti that day. Previously on July 16th, Baba had sent the following cable to Meredith Starr in Devonshire, England: "Make all preparations for my coming. Love is calling me to the West." In Karachi, Baba assigned to Jamshed Mehta the work of obtaining passports for him, Chanji and Agha Ali. 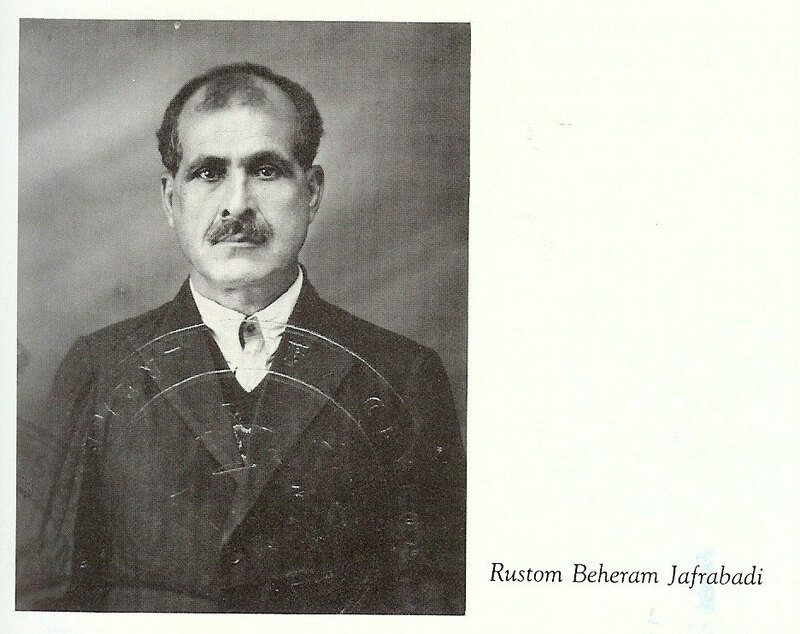 Rustom was also to accompany Baba to England, but he had still not been informed about it. 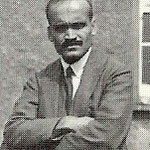 On August 22nd, Jamshed Mehta informed Baba that Mahatma Gandhi might also be travelling to England, but it was not certain at this stage. Baba replied, "If I go to England, I will take Gandhi with me. 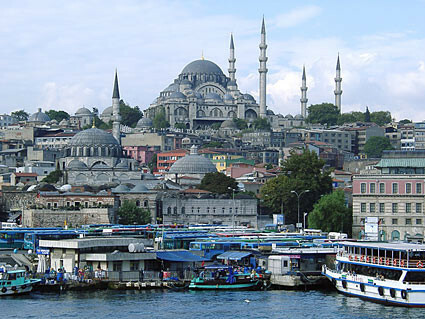 You simply expedite the passport work." The next day, Baba repeated the same thing about Gandhi. 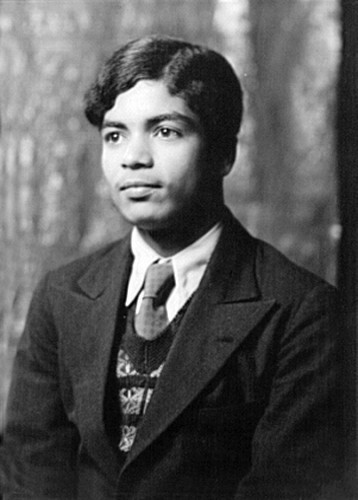 The passport work continued, but even Mehta with all his influence as mayor of Karachi found it impossible to convince the British authorities to issue a passport to Baba without his signature. At last, Baba consented to sign, but before doing so, remarked, "The British government is compelling me to sign its own death warrant! 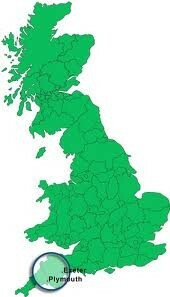 This will be the end of the British Empire." 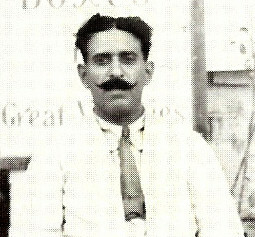 On August 25th ( 1931 ), Baba executed a bond in the commissioner's office in Karachi and, with a grim expression, signed M. S. Irani to the bond. The British government had unknowingly dug its own grave and their rule in India started to topple as a result. 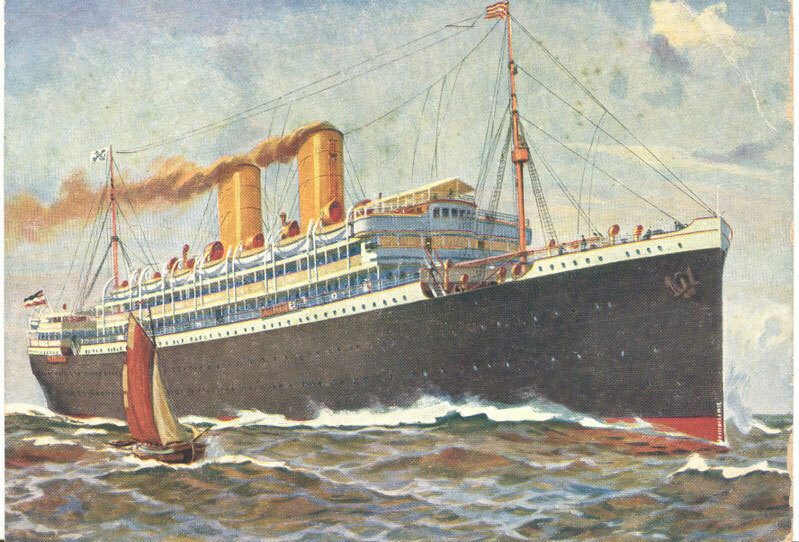 In Karachi, Chanji booked berths on a ship bound for Europe. Soon after, however, Baba instructed him to cancel it and book cabins on the S. S. Rajputana instead. It was difficult on such short notice for Chanji to obtain a refund and tickets for a different ship, and he wondered why this last minute change was necessary; Jamshed Mehta, too, was at a loss to understand it. In September, a Round Table Conference was scheduled to take place in London about India's independence, and it was still uncertain whether Mahatma Gandhi would attend. 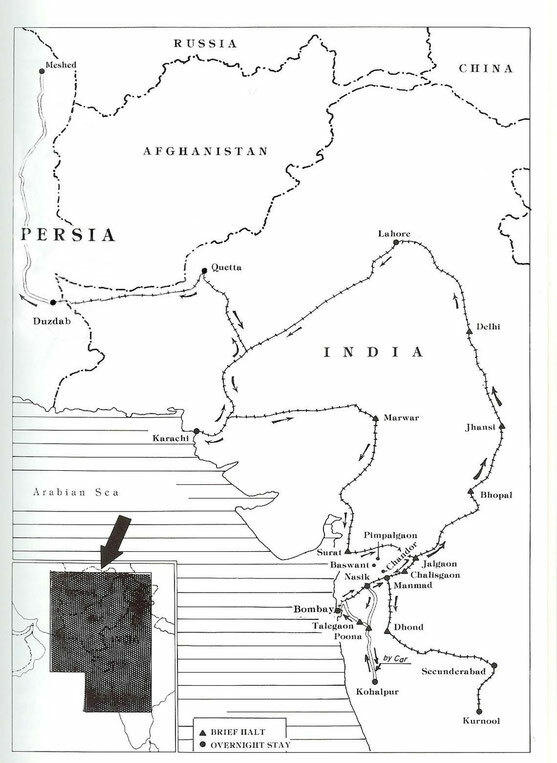 At the last moment, he agreed and, when it was announced that he would be sailing to England on the S. S. Rajputana, Chanji and Jamshed Mehta grasped the significance of Baba's earlier comments. 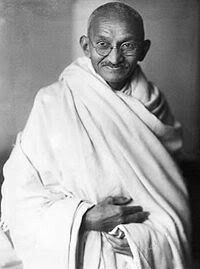 Mahatma Gandhi told newspaper reporters, "I must go to London with God as my only guide." 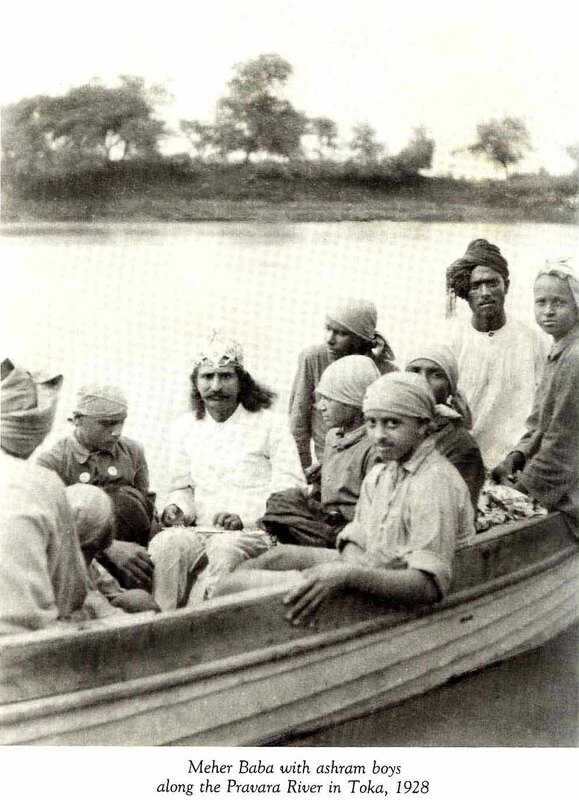 On Saturday, August 29th ( 1931 ), Meher Baba sailed from the port of Bombay on the S.S. Rajputana, accompanied by Agha Ali, Chanji and Rustom. No one in Bombay had been informed about his voyage and consequently none of Baba's followers turned up at the docks to bid him farewell. Baba left India surreptitiously; not even the mandali in Nasik had been informed he was leaving for Europe. 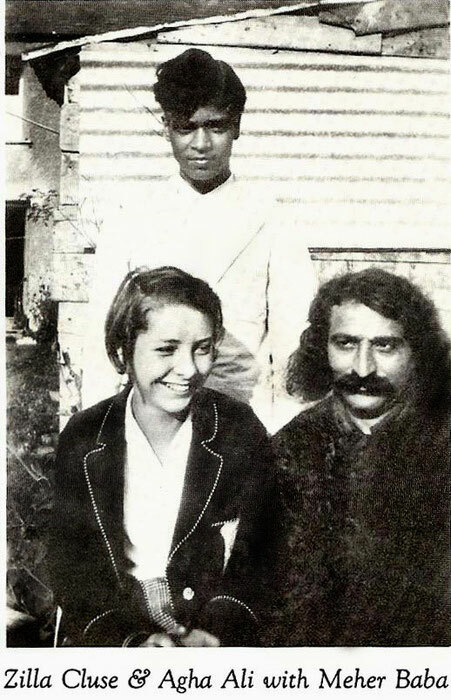 Before leaving at ten-thirty that night, Gandhi extended a cordial invitation to Meher Baba to visit his place of residence in London, and Baba agreed to pay a visit while he was in London. it only lost its own demeanor. "We know that eventually You will not deceive us. But by the time You respond, we will have turned to ashes." 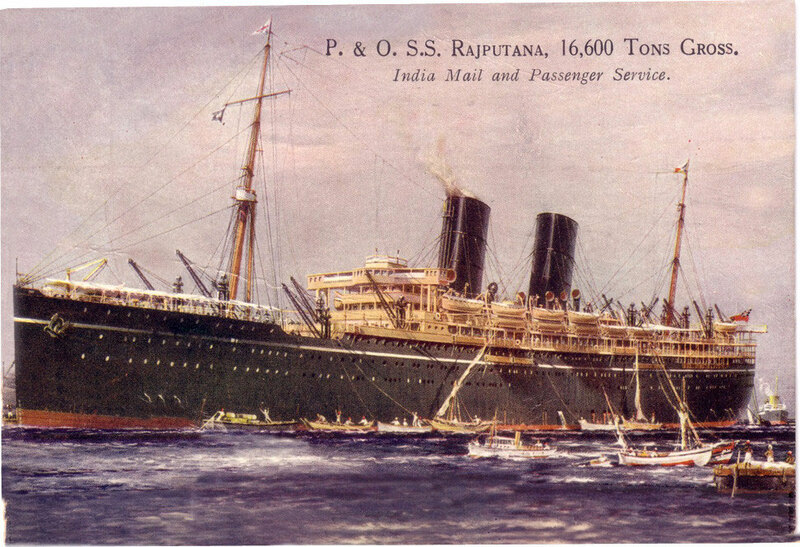 In the afternoon, while the ship was passing Messina ( Italy ), many passengers gathered on the upper deck, including Gandhi and the men of his party, and Baba, with Agha Ali, Chanji and Rustom standing beside him. The Indian politician Shaukat Ali, who had boarded the ship at Aden, saluted Meher Baba reverently and later spoke with him for half an hour. The above video depicts the press conference Gandhi had when the ship he was also travelling on - Rajputana arrived in Marseilles. At the start of this video there is a young man standing next to Madeline Slade who is wearing a shawl and white head scarf, Gandhi's English devotee. This young man I believe is Agha Ali. After leaving the ship, Baba, Rustom, Chanji and Agha Ali went to refresh themselves at the Hotel Geneva ( Marseilles ) where Meredith had booked rooms for them. Baba left the liner in a hurry and no other meeting took place between him and Gandhi. They drove via the Great West Road, Slough, Reading, Newbury, Marlborough, Chippenham, Bath, Wells, Glastonbury, Bridgwater, Taunton and South Molton. 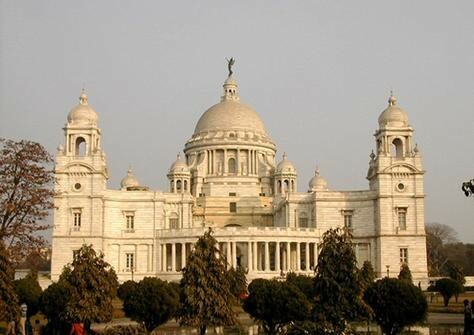 Baba, Meredith and Agha Ali sat in the back seat of the large taxi; Chanji and Herbert faced them on the two folding seats, and Rustom and the driver sat in front with all their luggage and paraphernalia. Baba came to the mandali's quarters very early the next morning and sat on one of the beds discussing matters with them for some time. 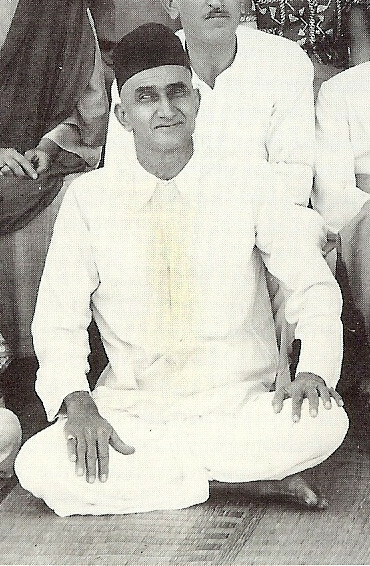 Herbert, Chanji and Rustom shared the room, while Agha Ali stayed with Baba in the main house. 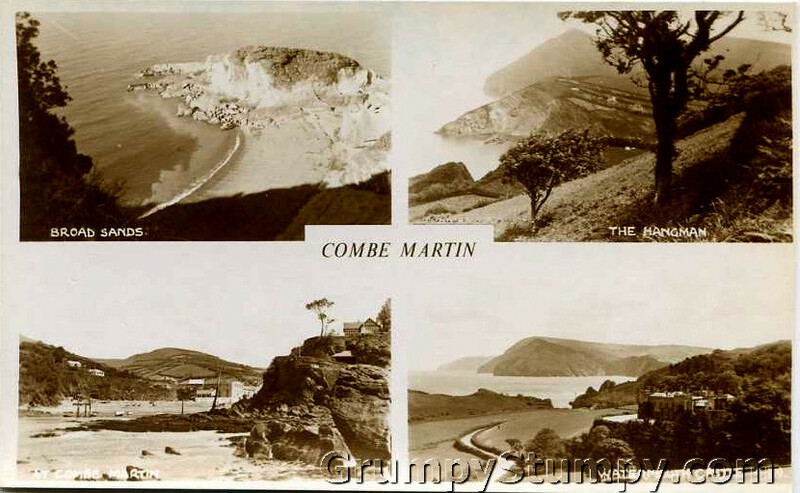 Baba decided that it was time to leave Combe Martin. 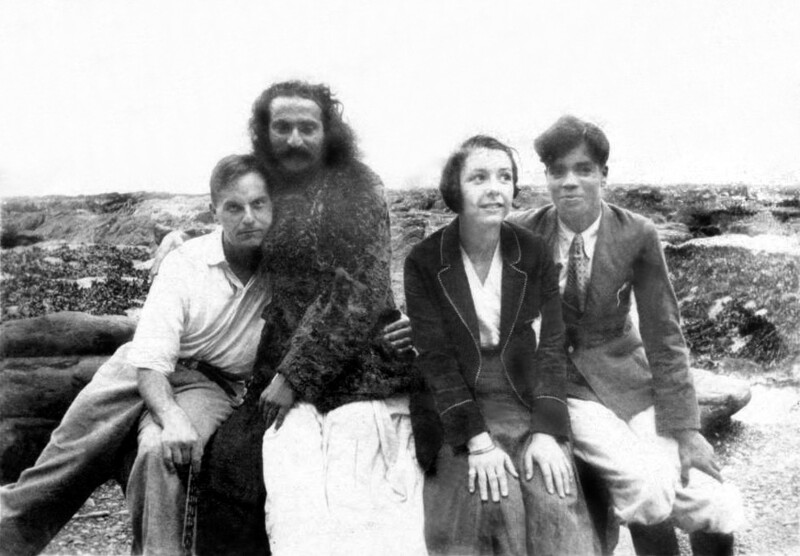 Departing by train with Agha Ali, Chanji, Margaret, Kim, Audrey and Tom Sharpley, Baba returned to London on September 24th ( 1931 ). 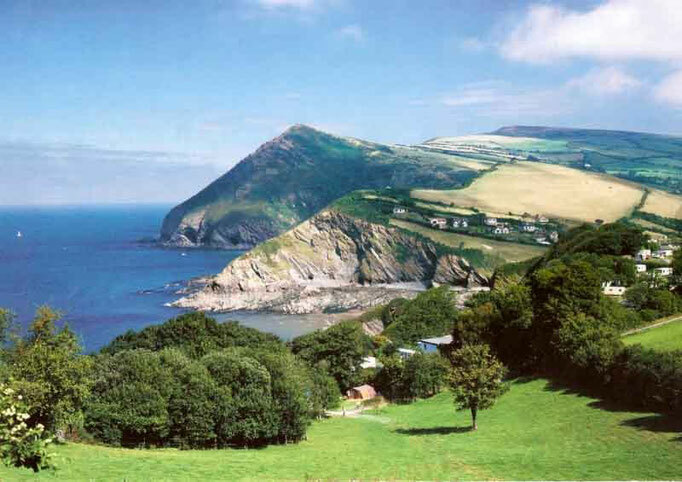 He again stayed at the Davys' house, while Rustom and Meredith occupied a nearby house. 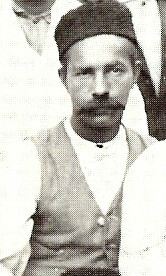 Quentin Tod was brought to the Davys' house by Milo Shattuck, whom he had met at lunch that day with Margaret and Mabel. Tod felt nervous as he climbed the stairs to Baba's room. When he entered the room, he found Baba seated cross-legged on the bed by the window with Agha Ali and Chanji at his side; however, he was so engrossed in seeing Baba that he forgot about the others around him. Baba smiled and motioned for him to sit beside him. He took his hand and patted Tod's shoulder. Tod felt tremendous love and peace emanating from Baba, and also experienced the feeling of recognition of a long-lost friend. 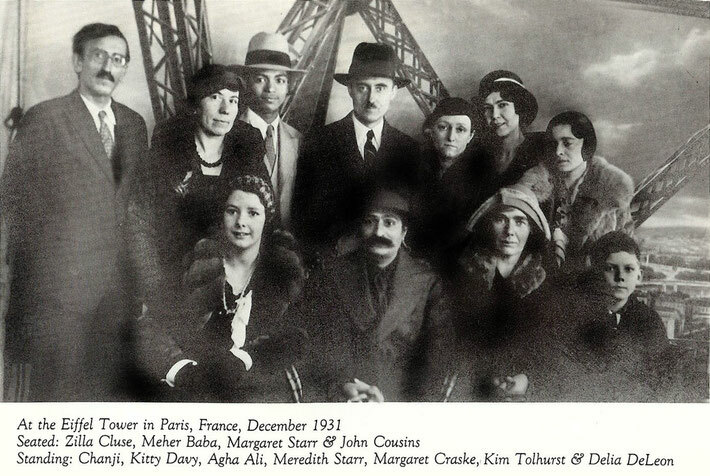 Accompanied by Desmond and Kim Tolhurst, Margaret Craske, Meredith Starr and Kitty Davy, Baba took Rustom, Chanji and Agha Ali to see the play White Horse Inn at the London Coliseum on Saturday evening, September 26th ( 1931 ). 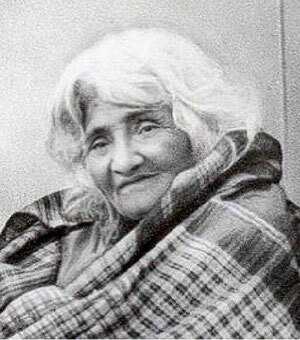 An actress named Cordelia DeLeon was introduced to Baba. Delia, as she was called, was immediately drawn to Baba and sat by his side. 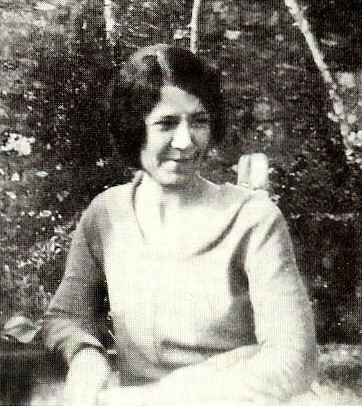 Every day thereafter in London, Delia saw Baba. On October 2nd ( 1931 ), Baba traveled about London by taxi, attending to errands with only Agha Ali and Chanji. 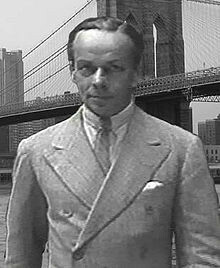 He first went to the American Consul for his visa to the United States, and he was only required to sign an "X" on the form, as he preferred not to sign his name. 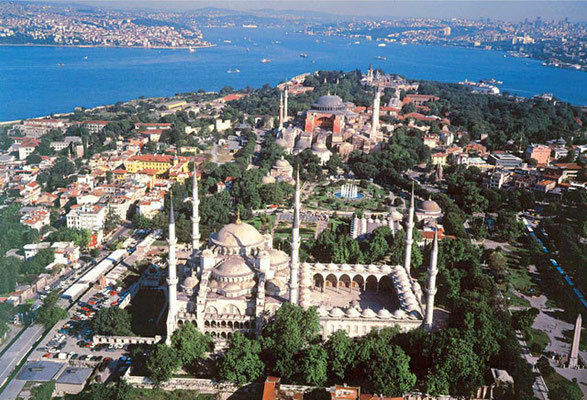 ON SATURDAY MORNING, October 3rd, Baba started out for Istanbul at nine-thirty, accompanied by Agha Ali, Chanji, Rustom and Meredith Starr – leaving his dear ones in tears as melodies to sing his Song. Margaret Starr, who had been sent for the previous day, and Delia DeLeon traveled with them as far as Dover. Besides Meredith's annoying behavior, Agha Ali would also behave like a spoiled child at times during this journey. One night, Ali lost his temper and created a disturbance in Baba's cabin, whereupon Baba soundly thrashed Chanji. Seeing Chanji beaten frightened Ali and the boy realized his mistake. Even though Ali expressed his regret and apologized, Chanji was still crying. 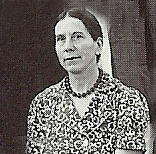 Within moments of this incident, Miss Skey appeared on the scene. Finding Chanji weeping, she was surprised and asked Baba the reason. Baba slyly spelled out, "Look what love Chanji has for me! Whenever he finds me alone, he cannot prevent himself from crying. His longing is terrible so he sheds tears of love. These are his tears of longing." 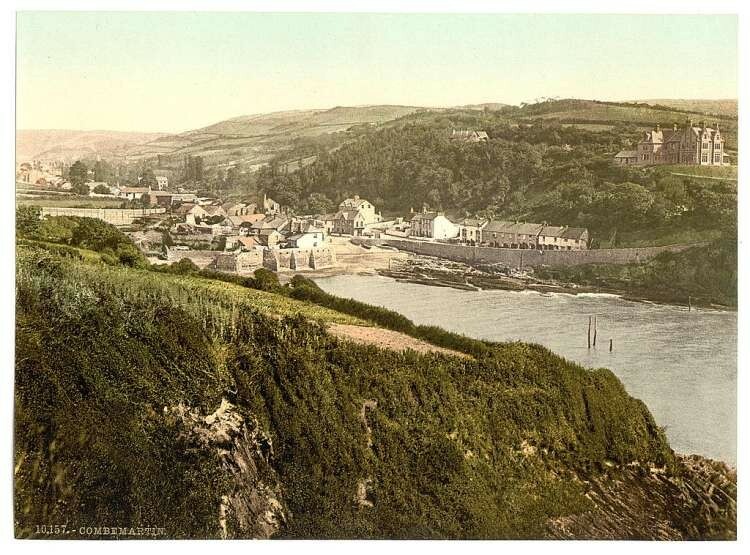 This statement greatly impressed Miss Skey who then also began crying. Baba directed Chanji to calm the woman down. How could she bear to know the facts behind poor Chanji's beating? 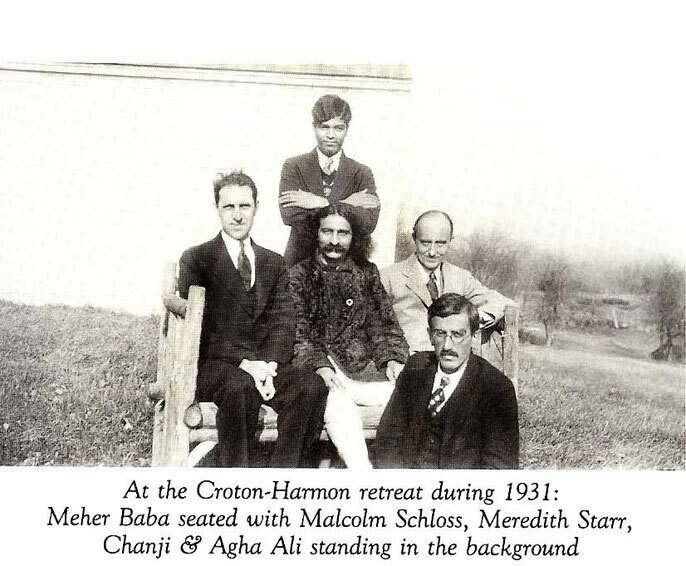 After staying in America for one month, Baba sailed on the German ship S. S. Bremen for Paris at the stroke of midnight on Saturday, December 5th ( 1931 ), accompanied by Chanji, Agha Ali and Meredith Starr. Anita de Caro drove with them to the dock where a small group bid farewell. 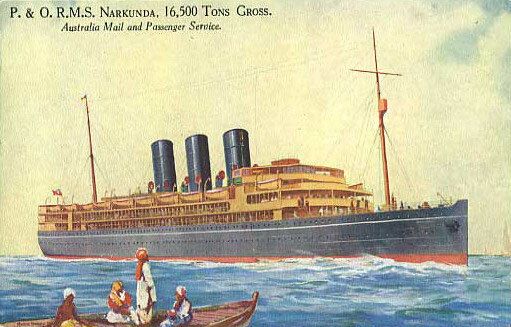 On December 18th, Baba, Chanji and Agha Ali boarded the English ship S. S. Narkunda for their voyage to India. Baba had taken the Paul Robeson records back with him and would have them played in his cabin. On December 23rd, it was observed that Baba wept while listening to Robeson sing Feed My Sheep – thinking of the new lovers he had left behind and their grief at his departure. ARRIVING IN INDIA, Baba, Chanji and Agha Ali reached the port of Bombay on Friday, January 1st, 1932. At the dock, Baba was welcomed home with heartfelt joy by Rustom and his mother Gulmai, Ghani Munsiff, Ramjoo Abdulla, Khak Saheb, Kalemama, Nusserwan Satha, Chinchorkar and other followers. Including his trip to Persia and Quetta, Baba had been gone for six months. 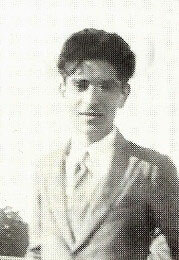 Agha Ali, who had gone to England and America with Baba in 1931, was sent back to Bombay and instructed to stay there with his father until Baba called him. 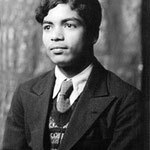 Although Adi Jr. was only seventeen years old, in order to get him a passport and avoid trouble with the bureaucrats, Baba instructed him to write on his application that his birthdate was September 18th, 1912, making him over eighteen – a legal age to travel. 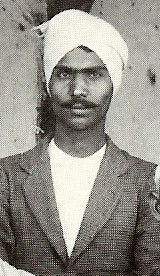 After his first foreign tour in 1931, Baba had sent Agha Ali to stay in Bombay and he had only seen Ali once in Nasik a year later. 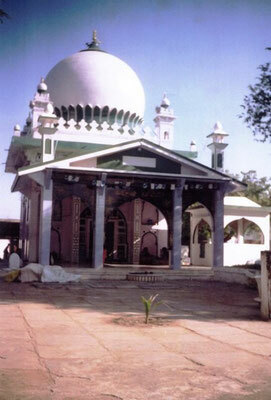 After Baba shifted the ashram from Nasik to Meherabad, Ali came to see Baba on December 31st. Baba very lovingly met him and instructed him to stay with his father, which Ali did. Buasaheb came from Poona on March 2nd, but Baba sent him back after giving him certain instructions. 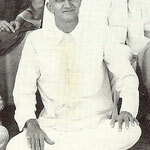 Agha Ali arrived the next day and again expressed his desire to remain with Baba, who prevailed upon him to return to Bombay and sent him home.